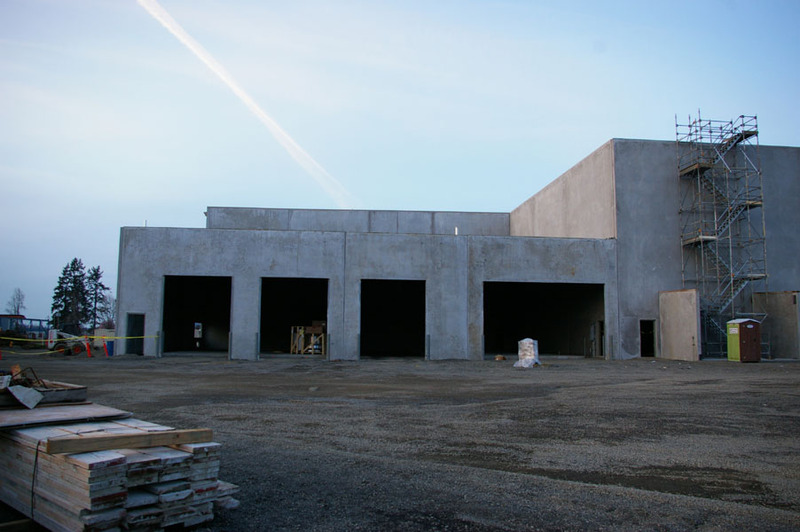 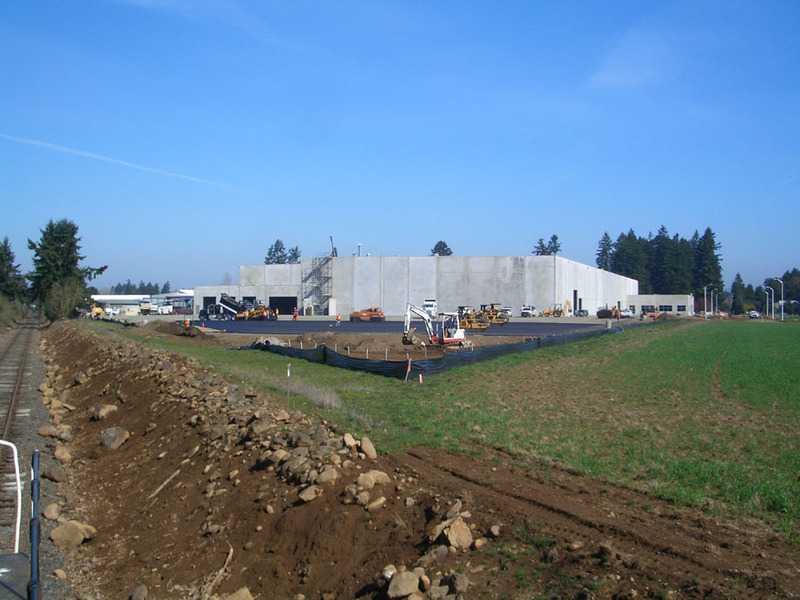 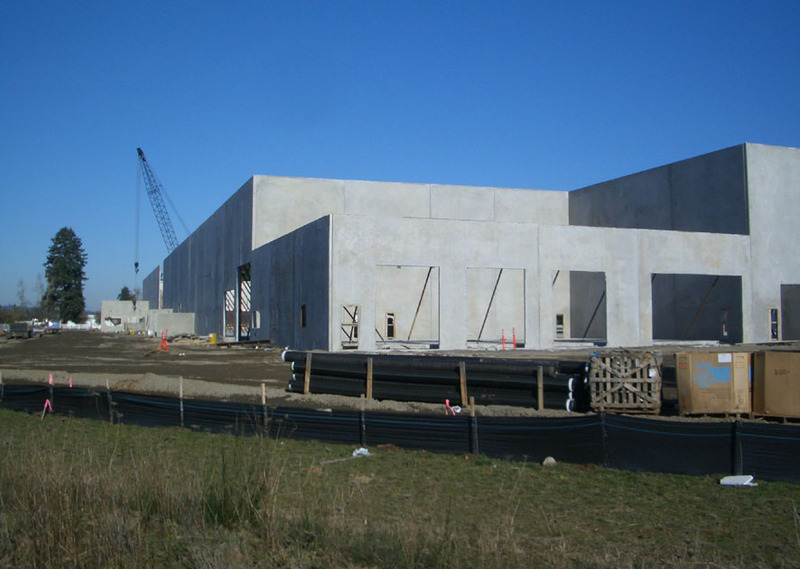 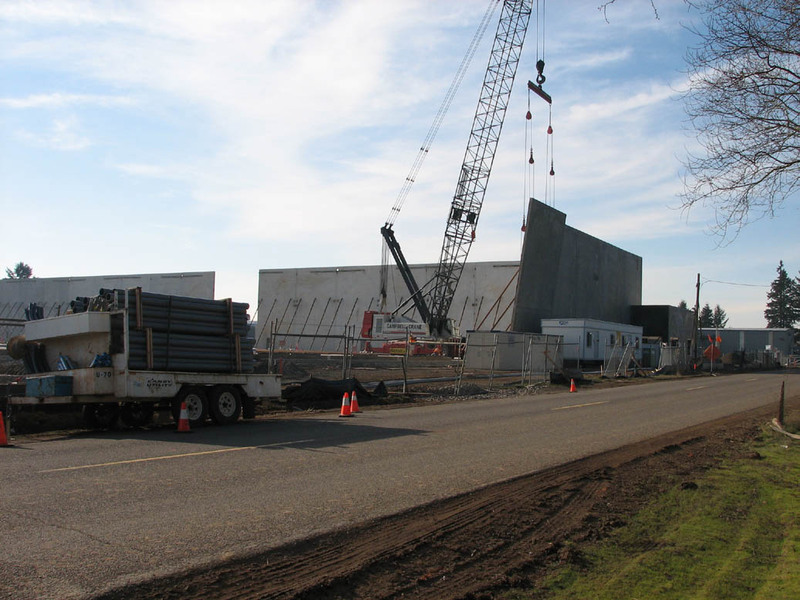 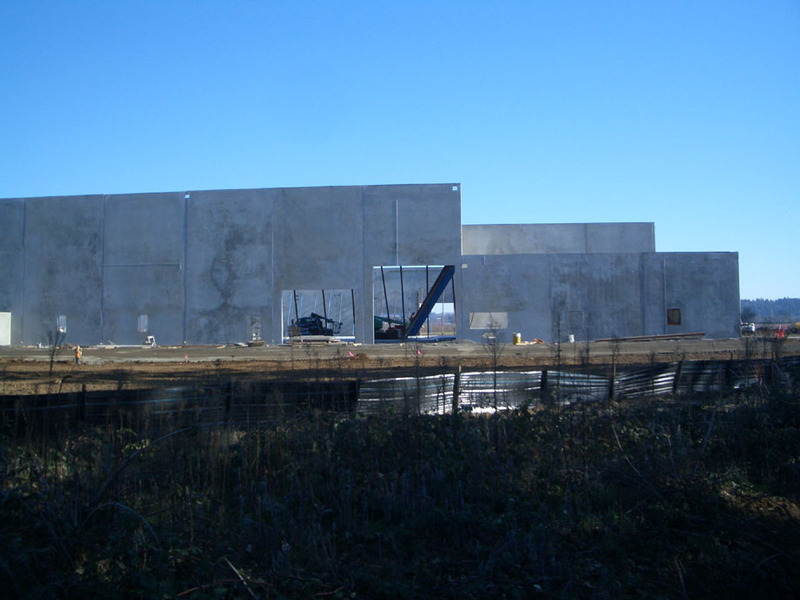 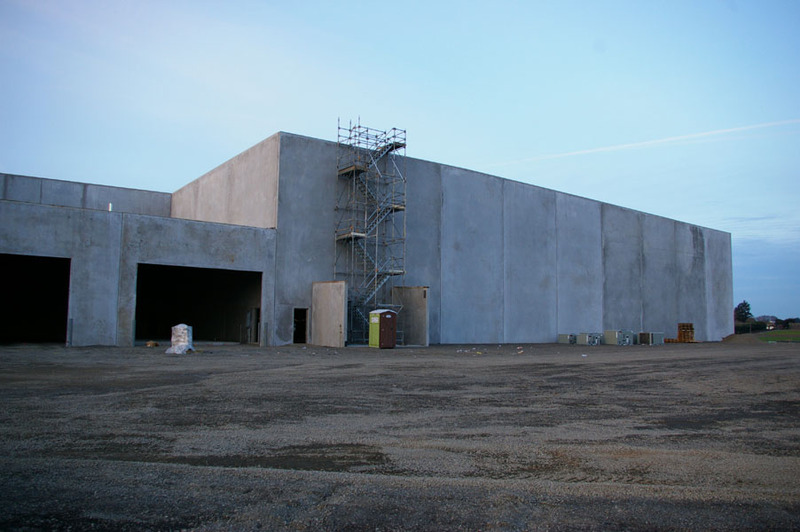 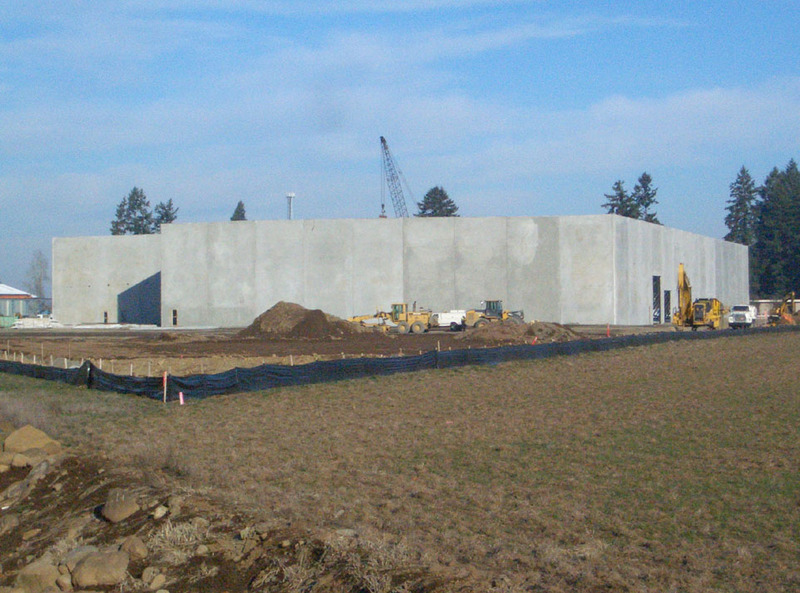 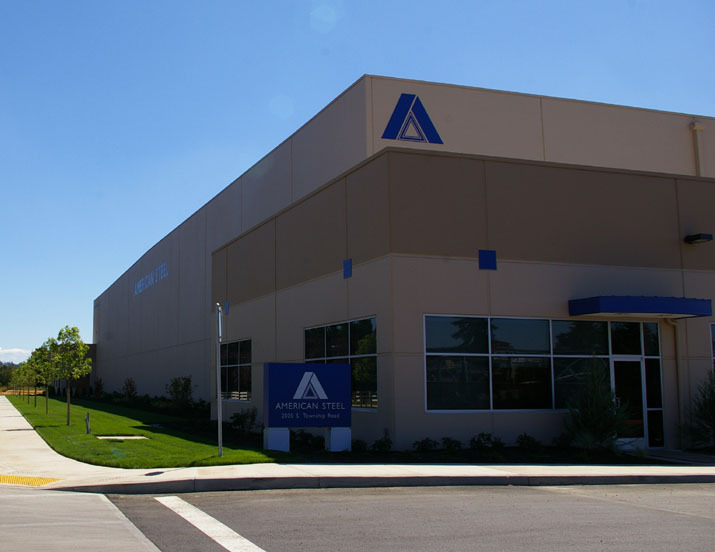 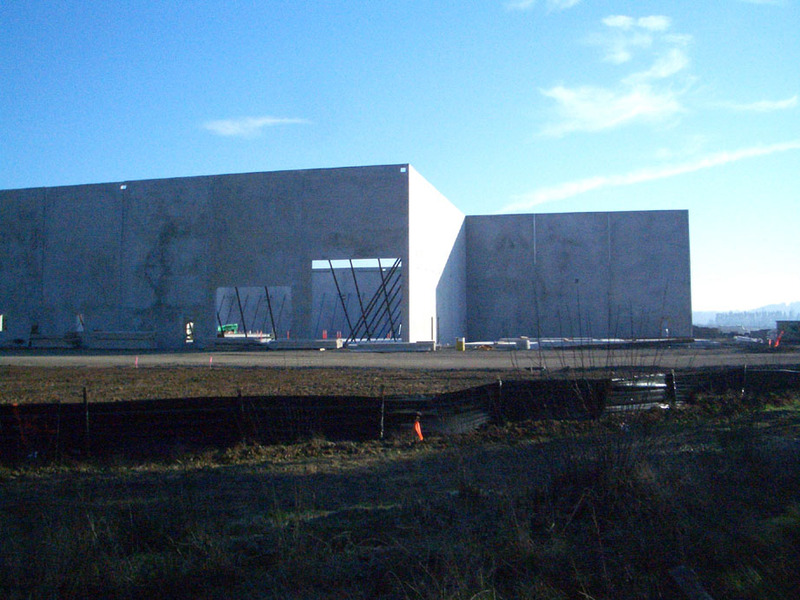 located at 525 S. Sequoia Parkway, Canby, Oregon. 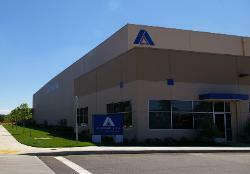 American Steel Homepage. 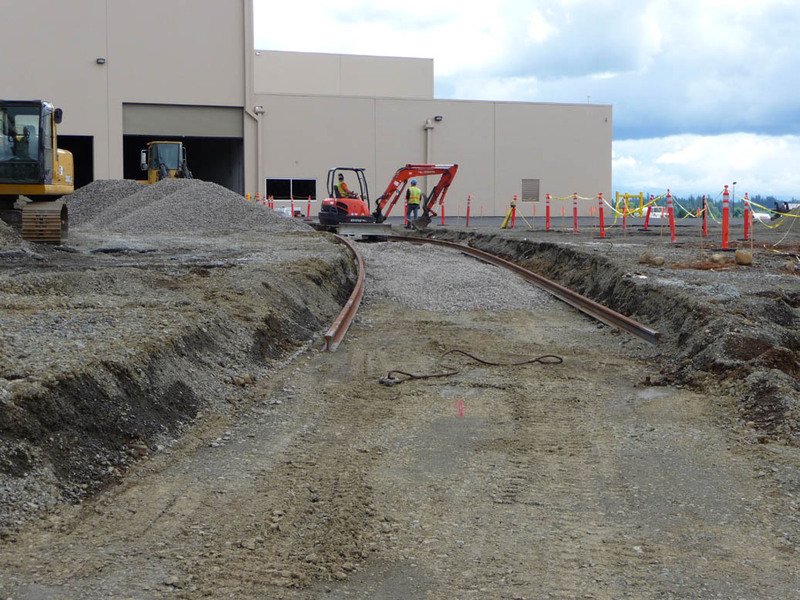 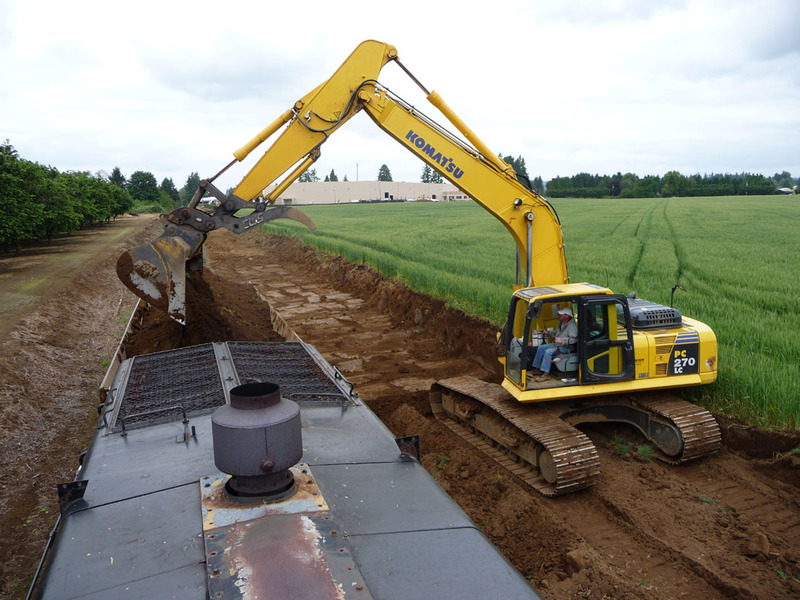 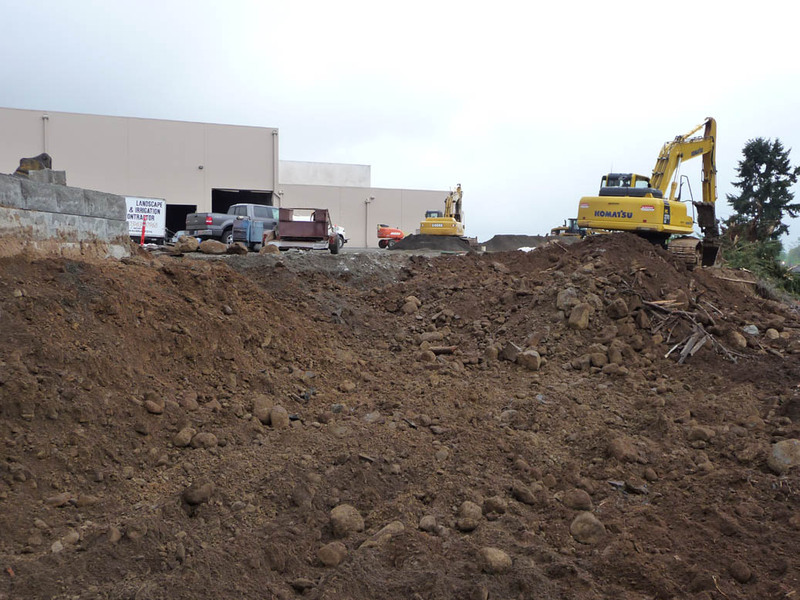 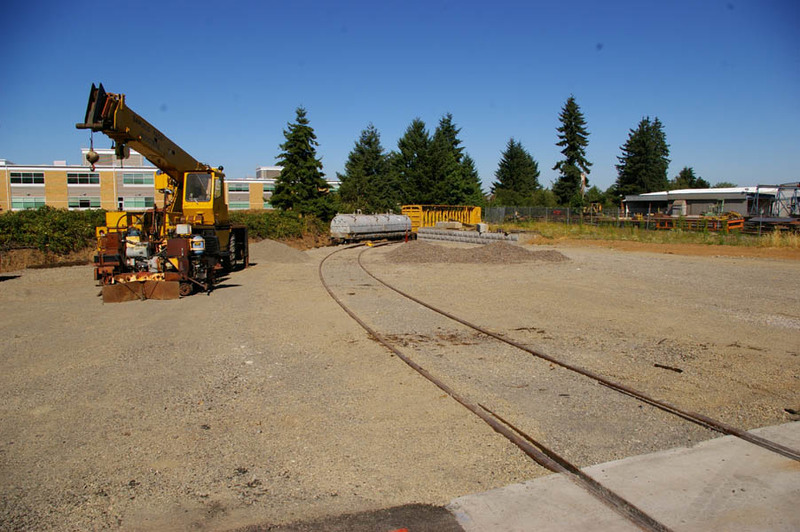 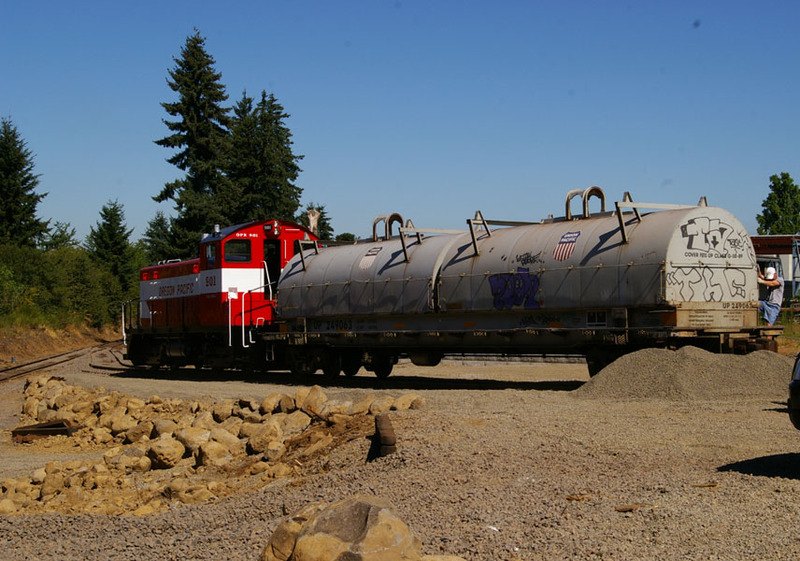 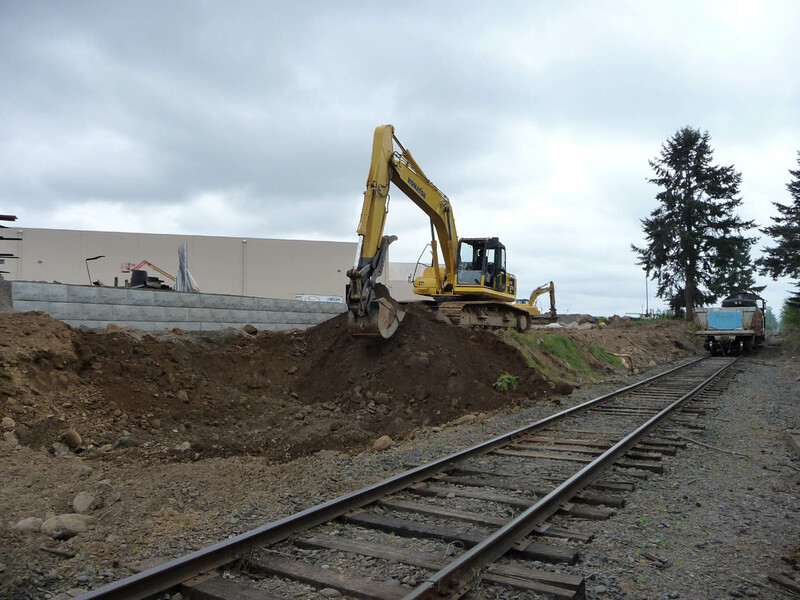 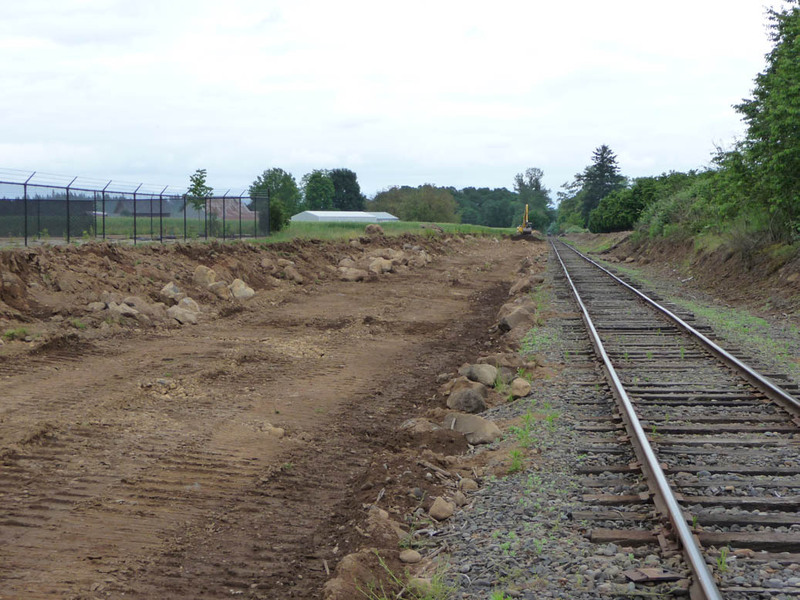 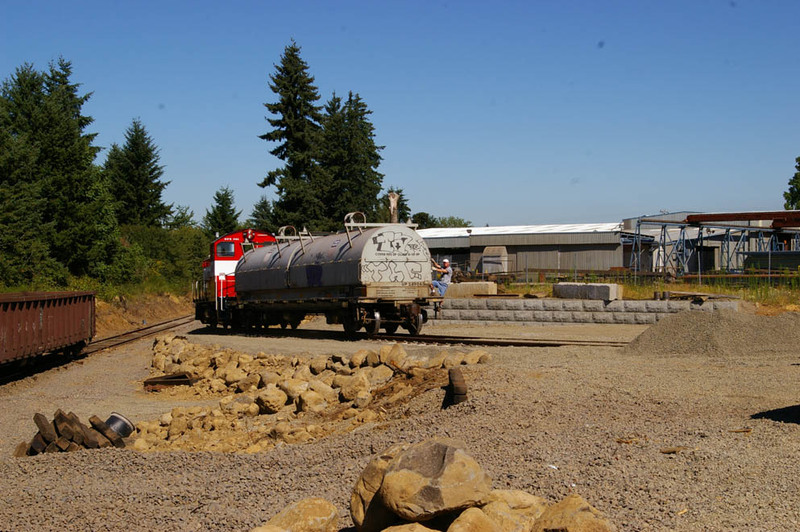 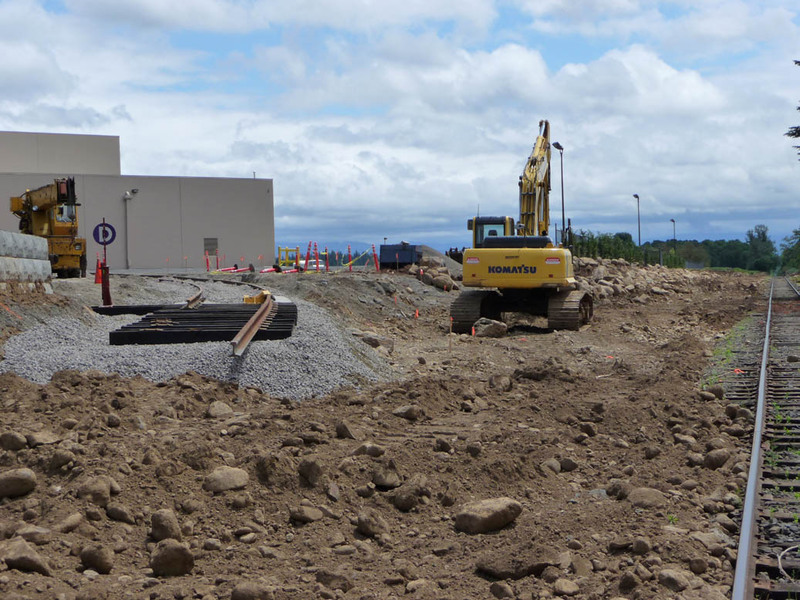 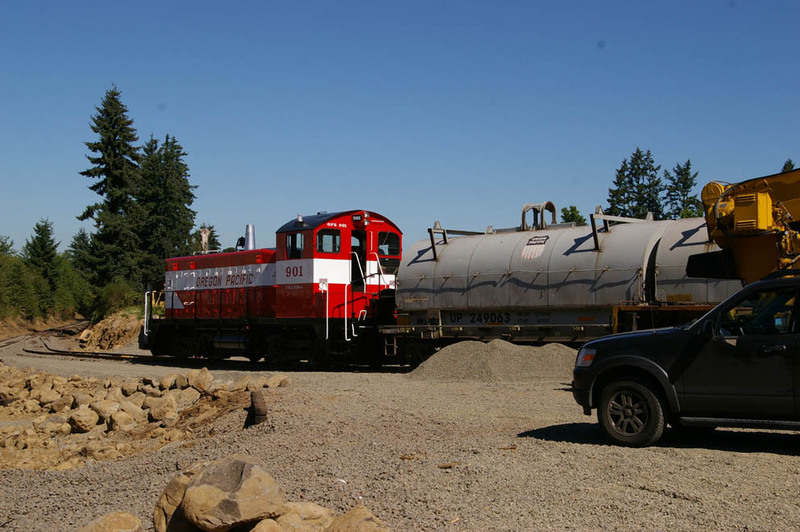 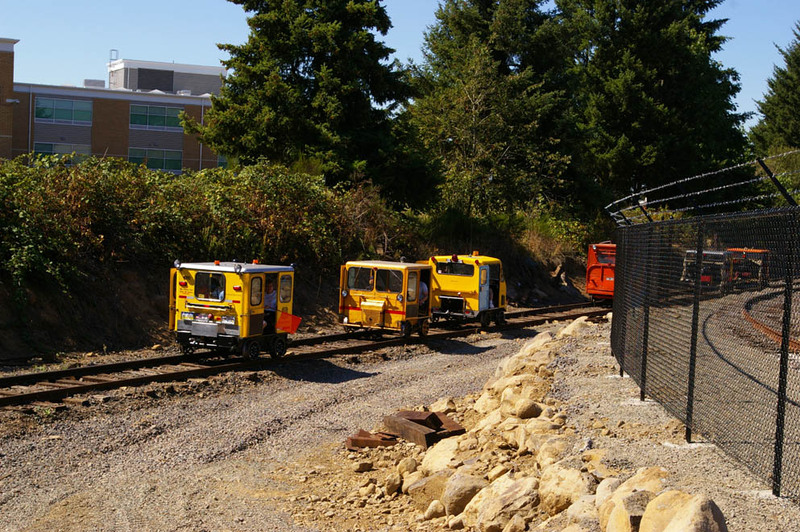 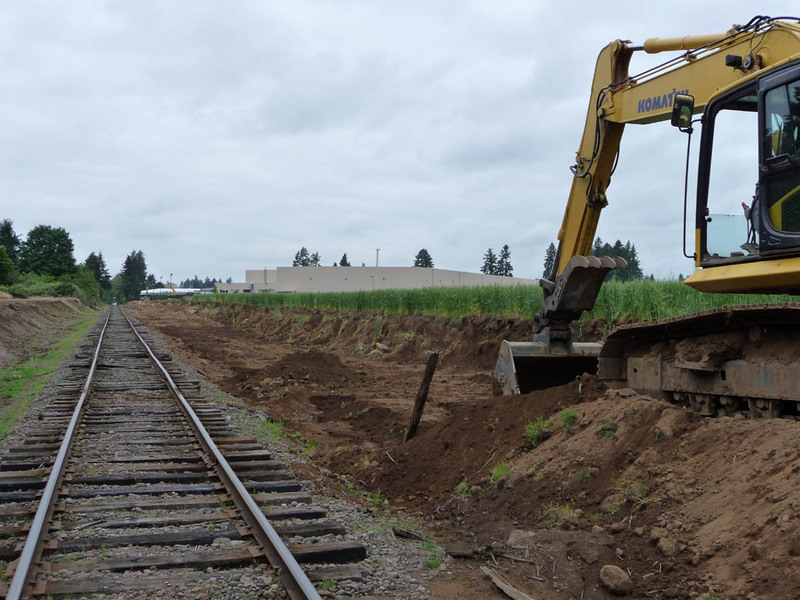 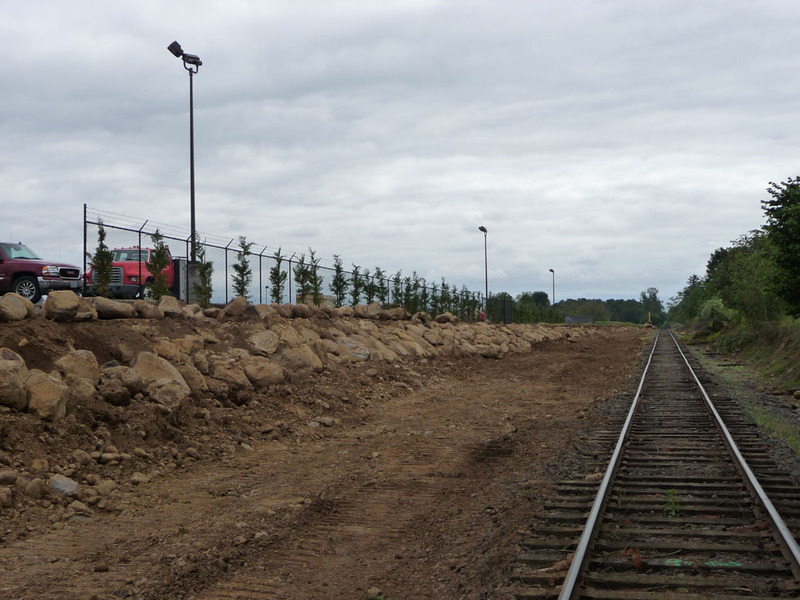 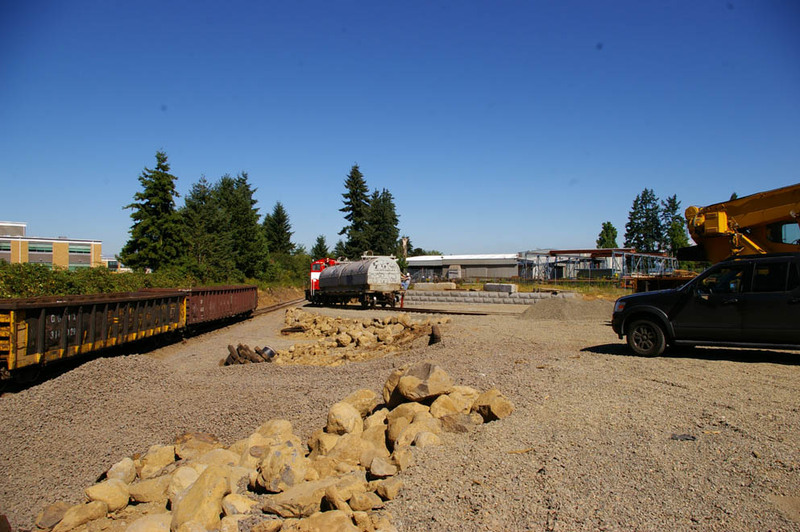 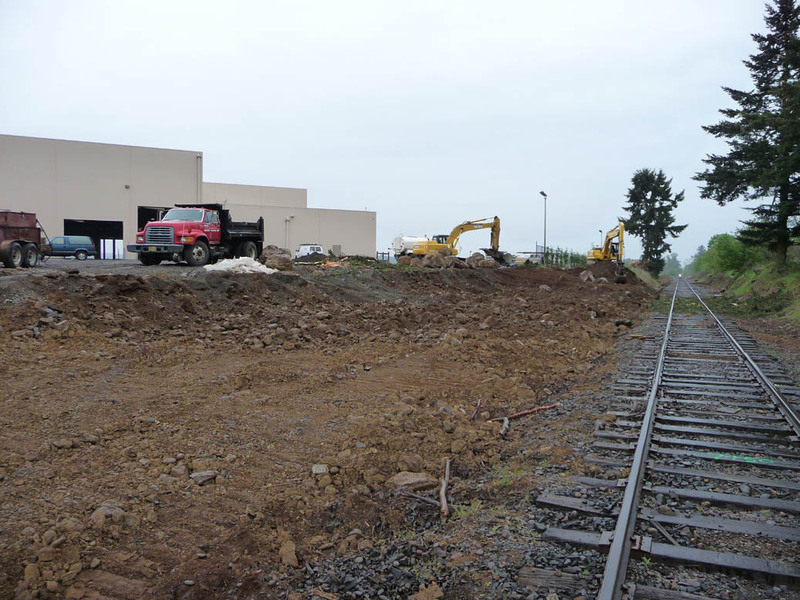 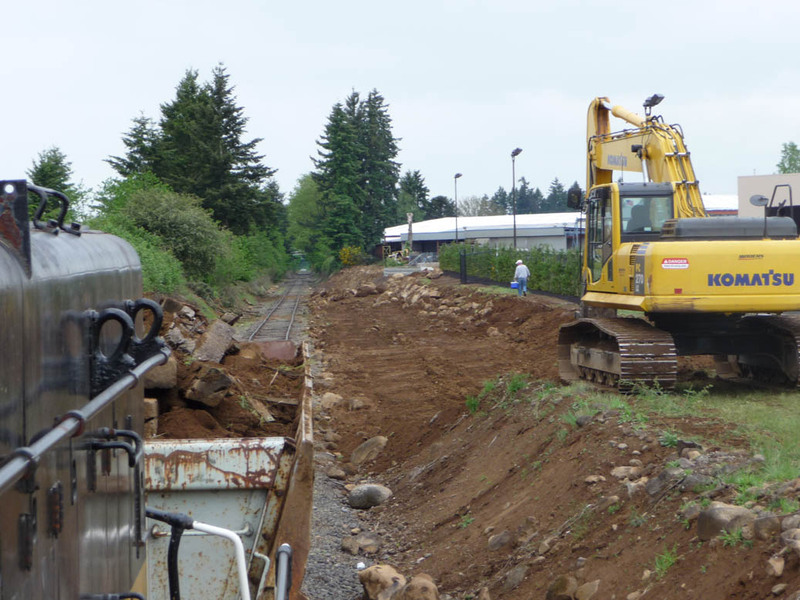 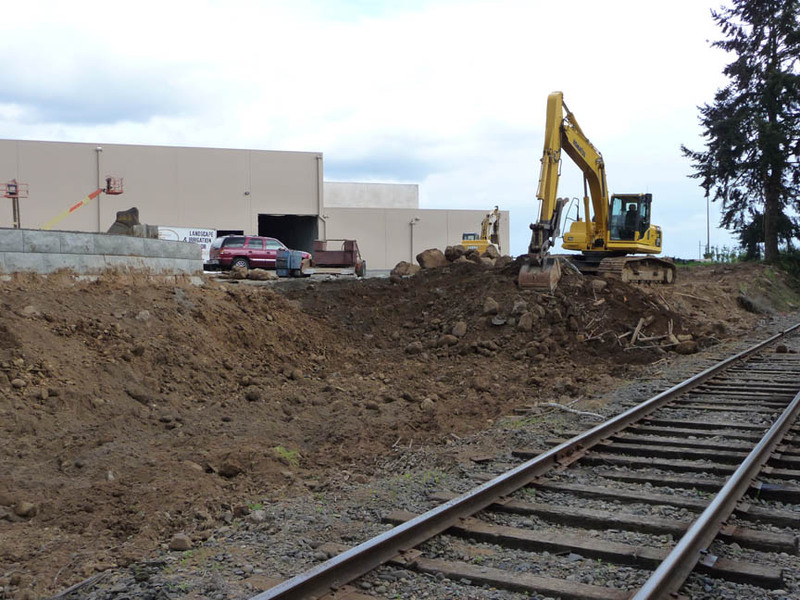 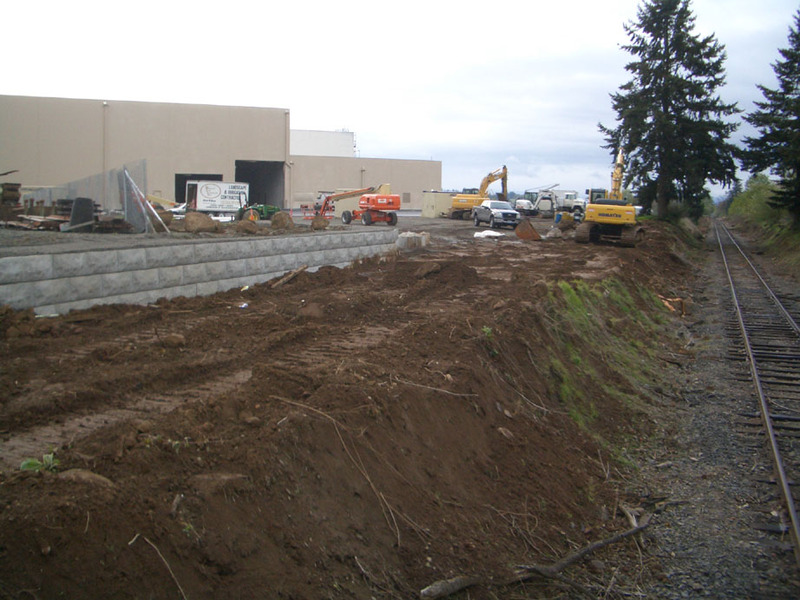 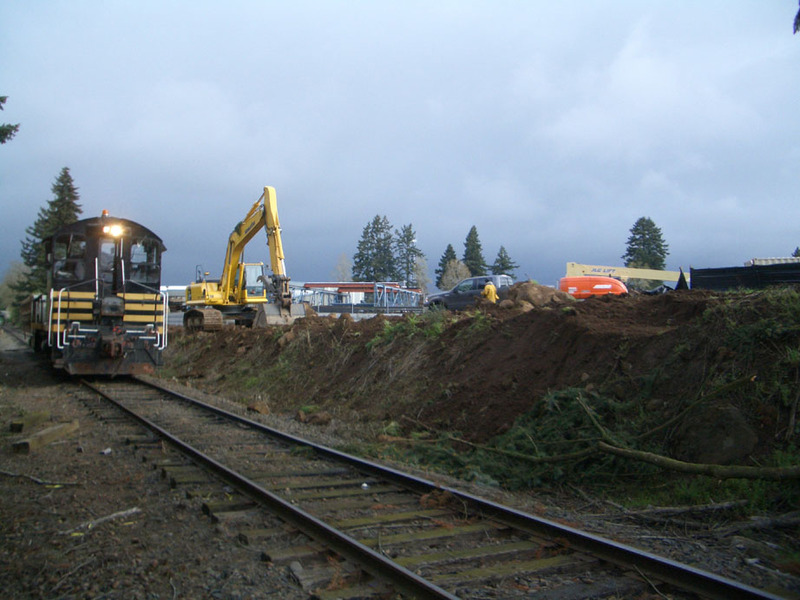 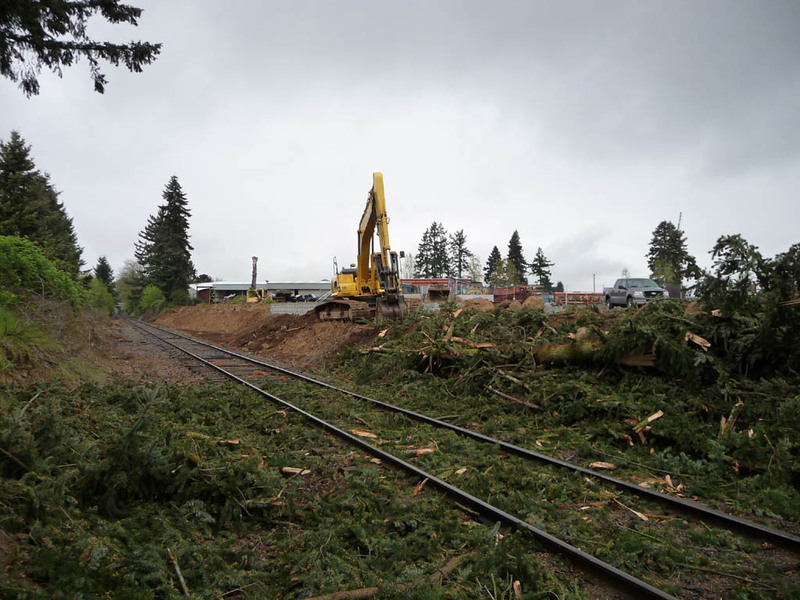 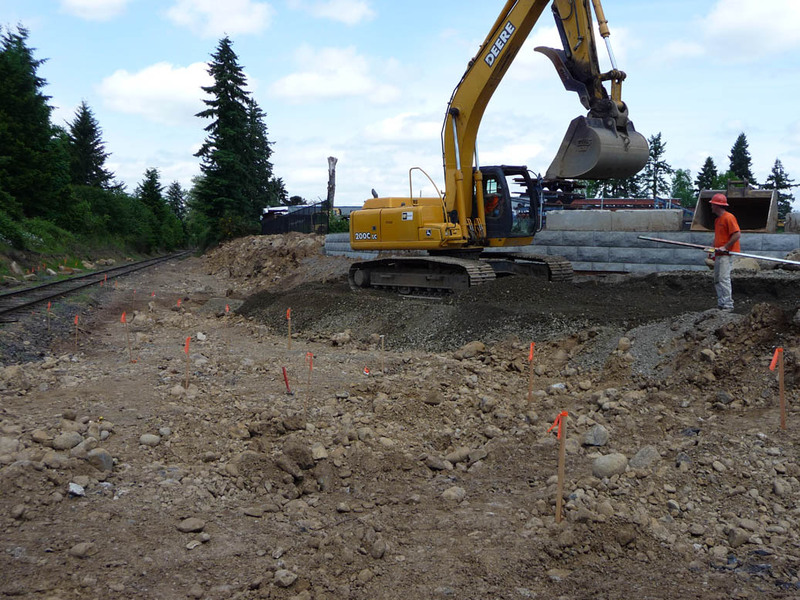 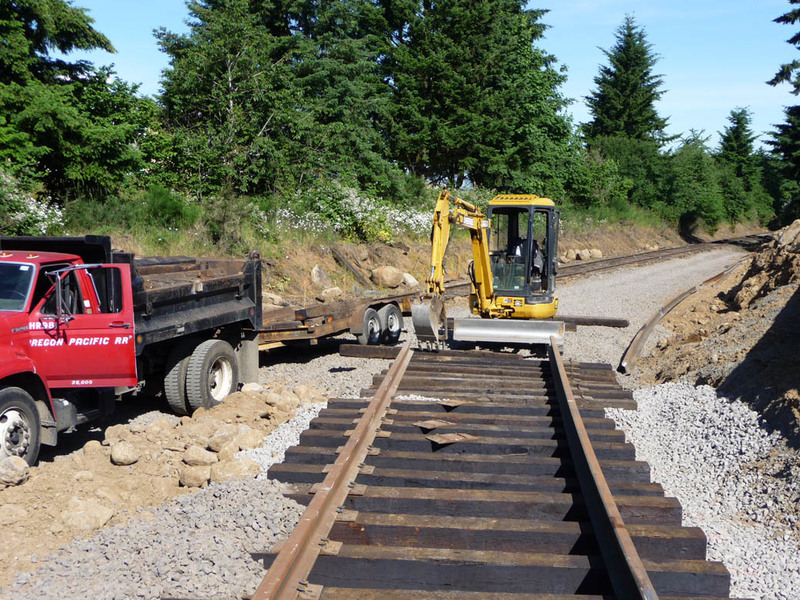 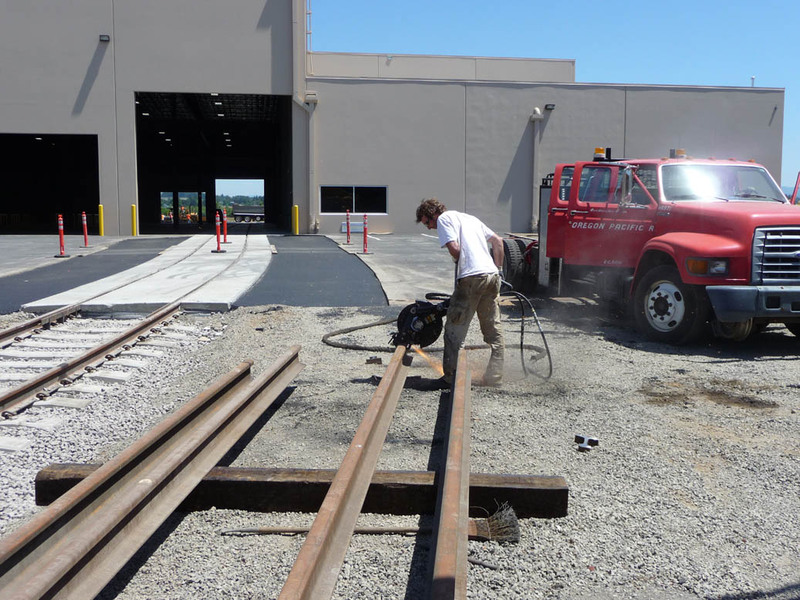 construction on a drill track that will parallel the current Molalla Branch next to the planned Canby Industrial Park expansion. 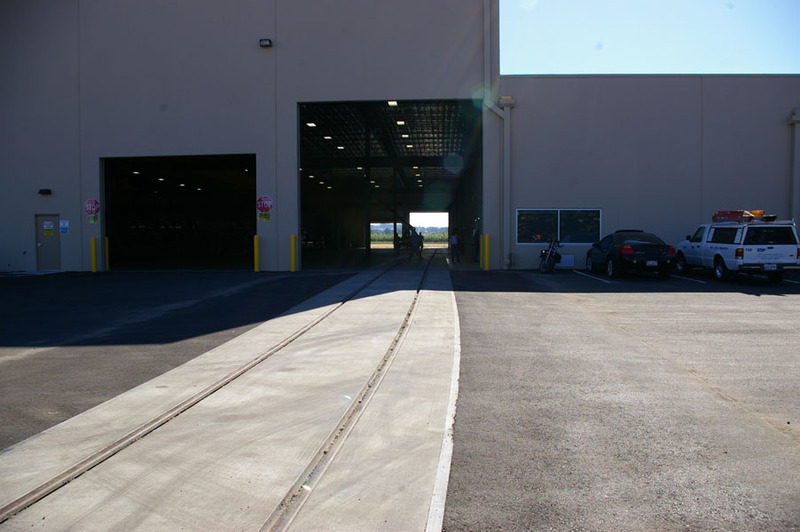 This will allow for the OPR to store cars for American Steel and add new spurs as they become needed into the industrial park. 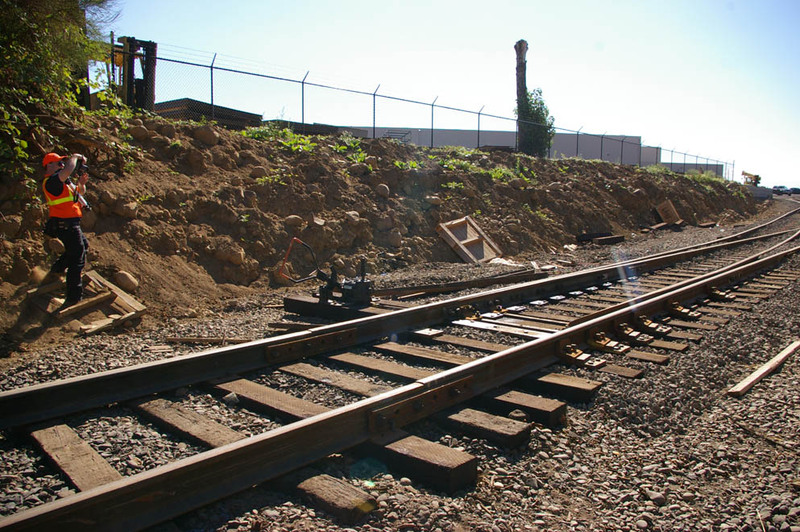 spur on August 11, 2008. 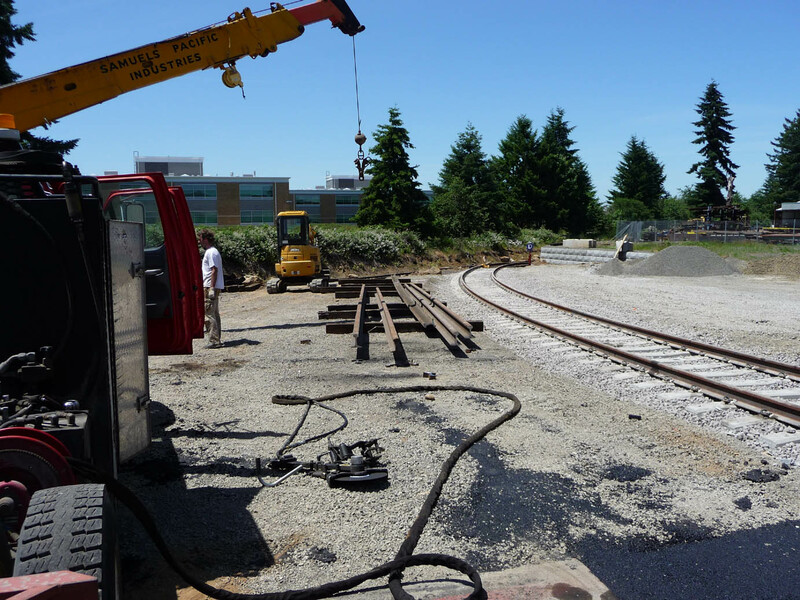 Construction of the drill track was begun in early 2008 and work continues on this project. 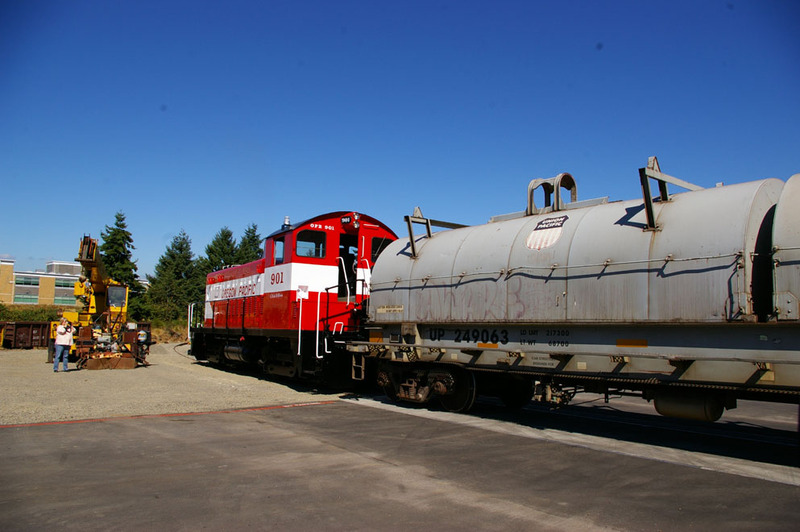 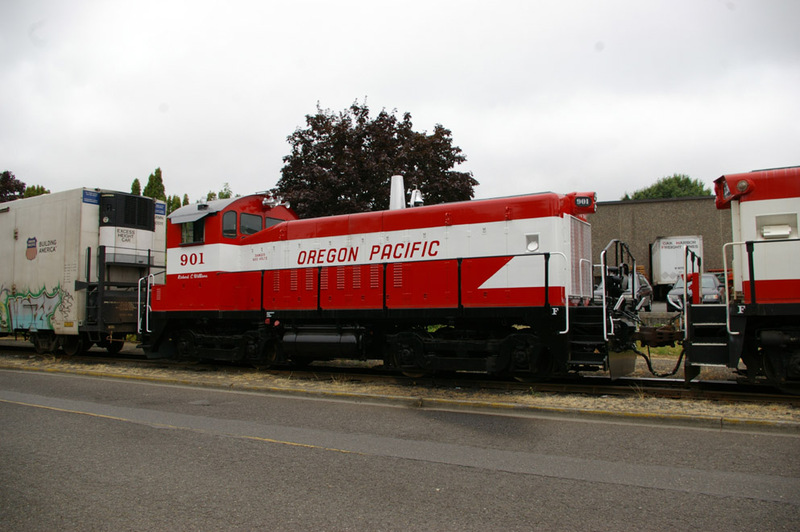 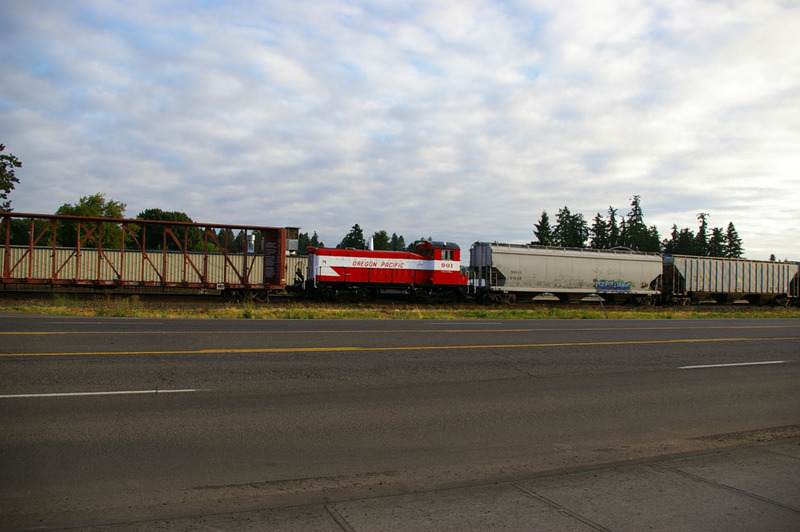 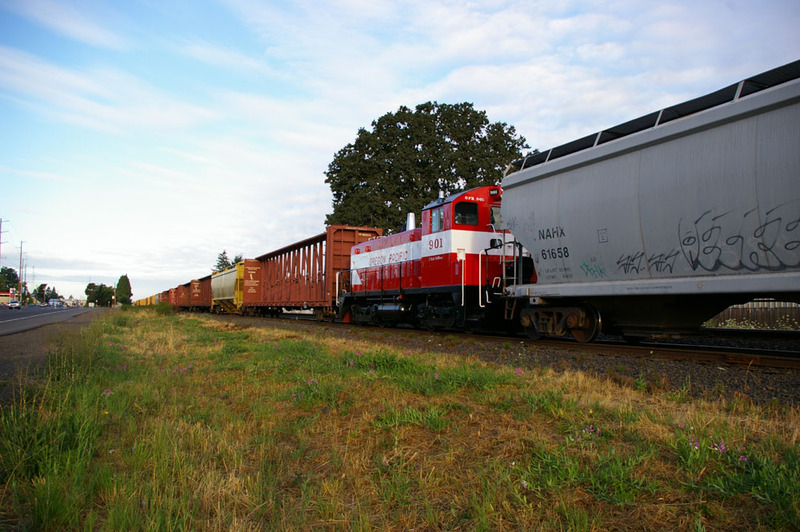 transferred to the Molalla Branch in August 2008. 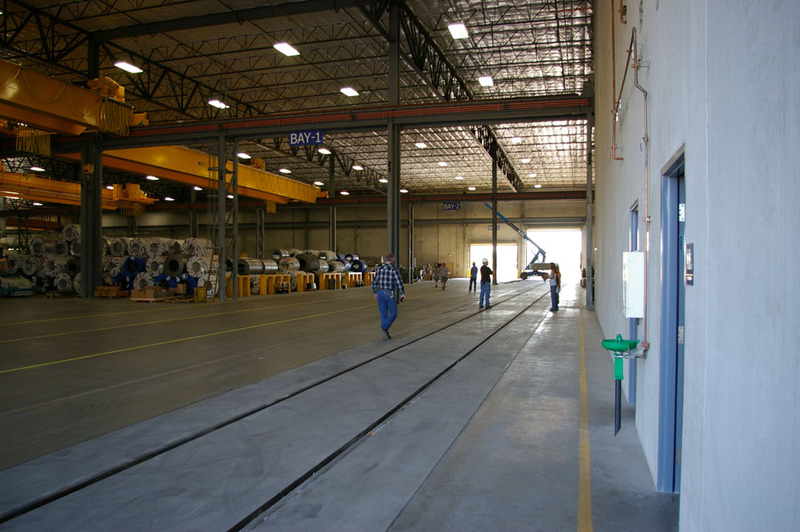 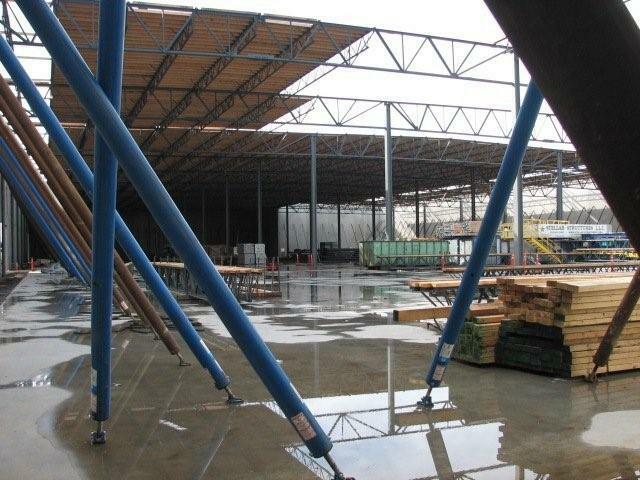 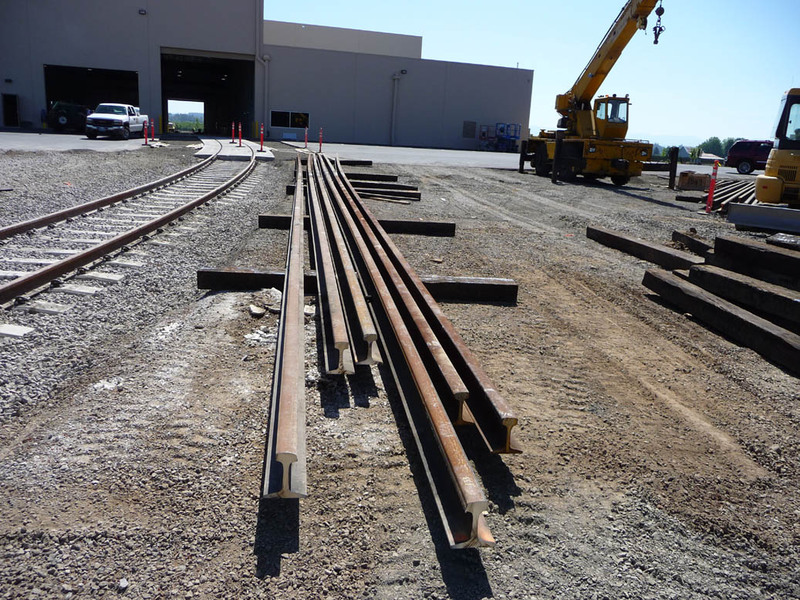 American Steel's facility is located several feet above the OPR grade and these photos show some early grading of the new spur. 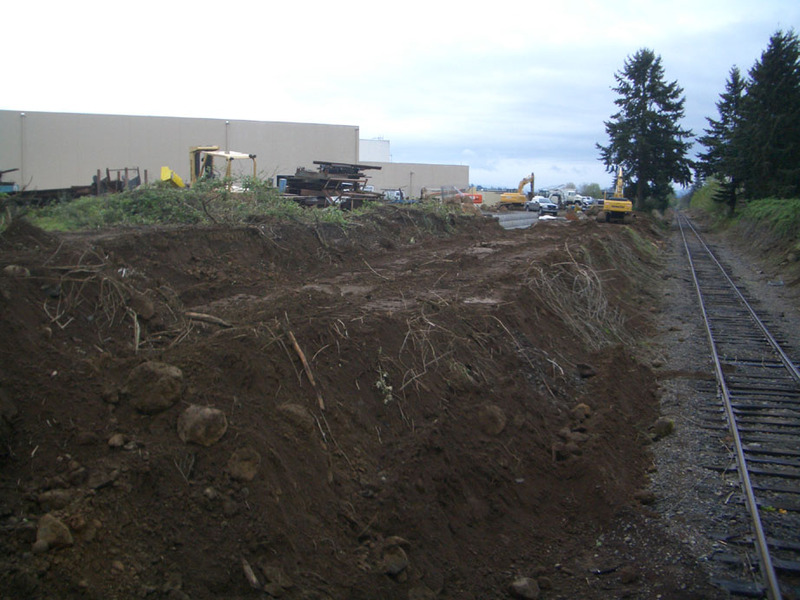 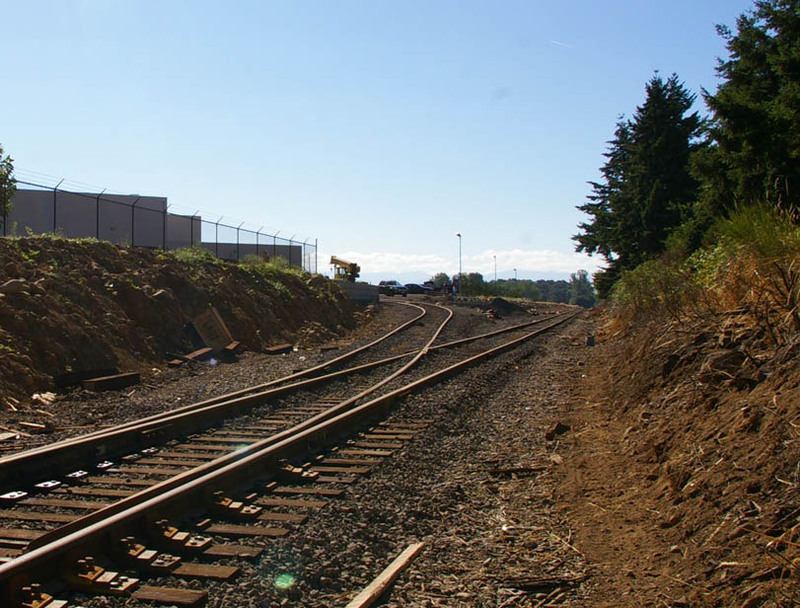 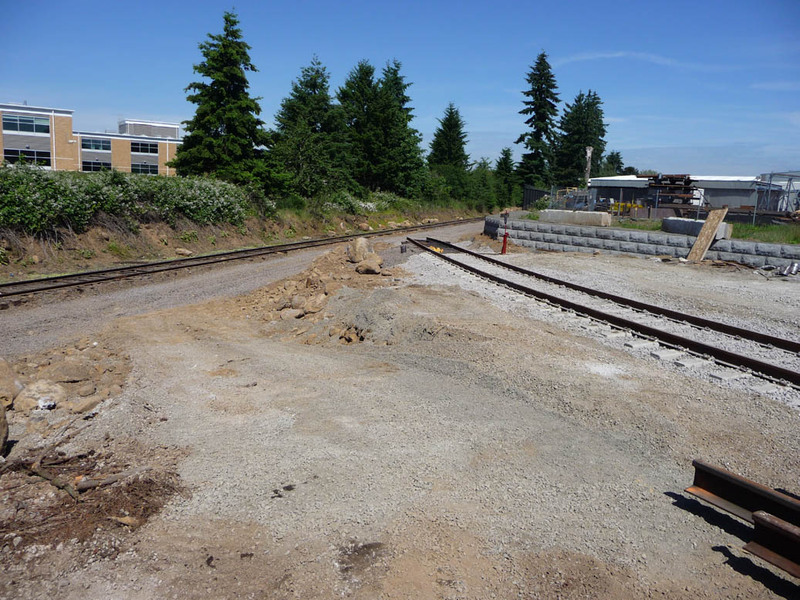 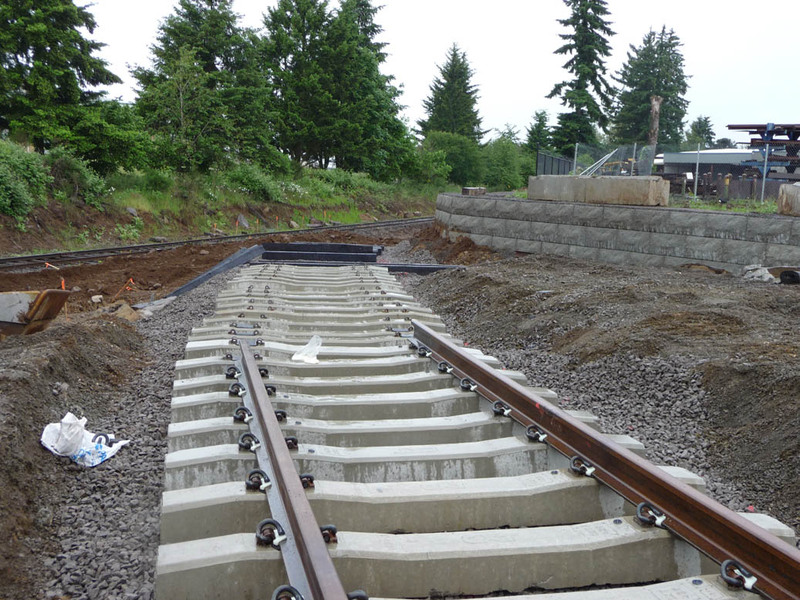 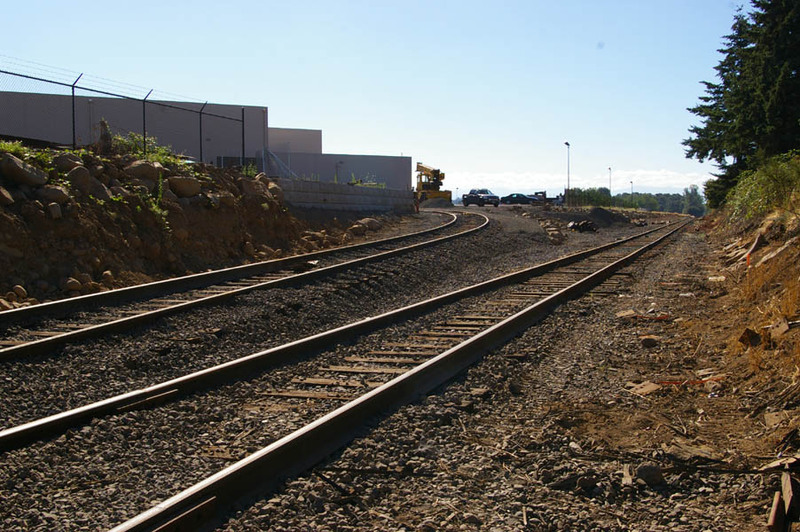 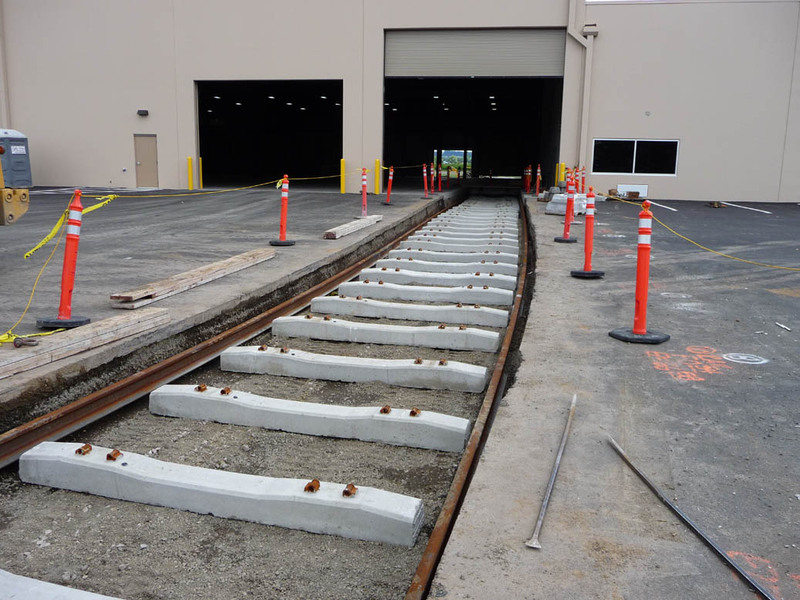 The completed spur as viewed from the Molalla Branch mainline, up the spur and into the American Steel building. 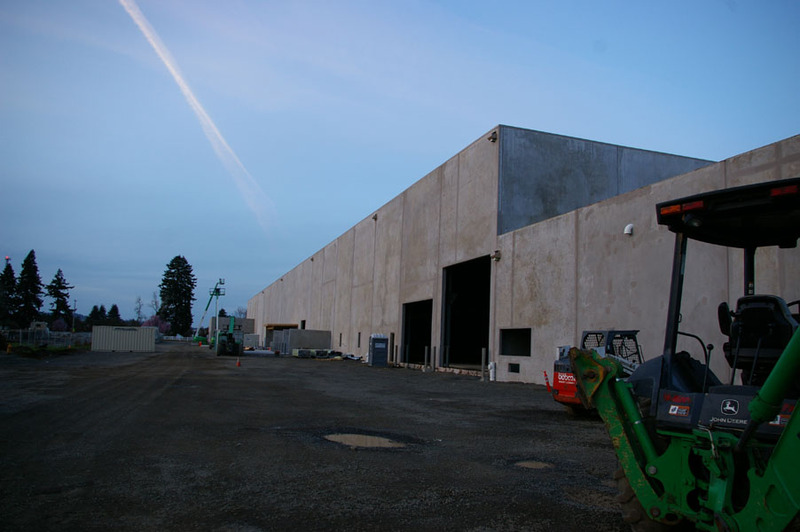 pictures on the left are at the Milwaulkie Shops. 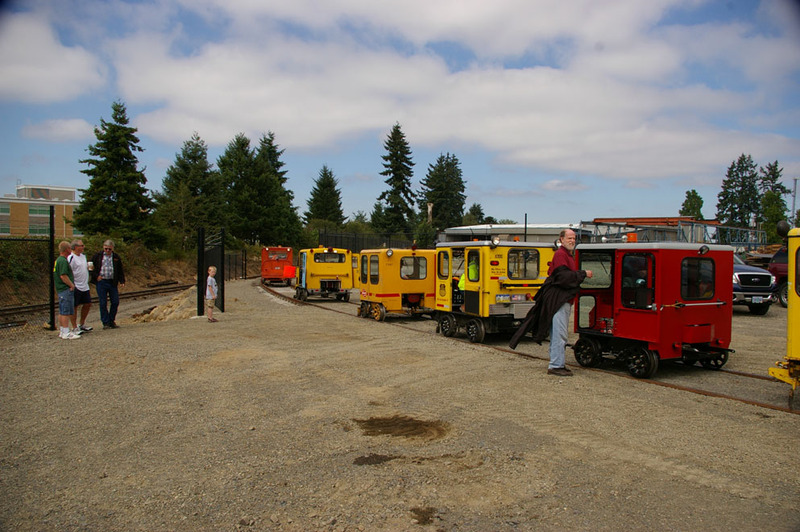 The picture on the far right is at Golf Junction with Mr. Samuels at the controls of 1202. 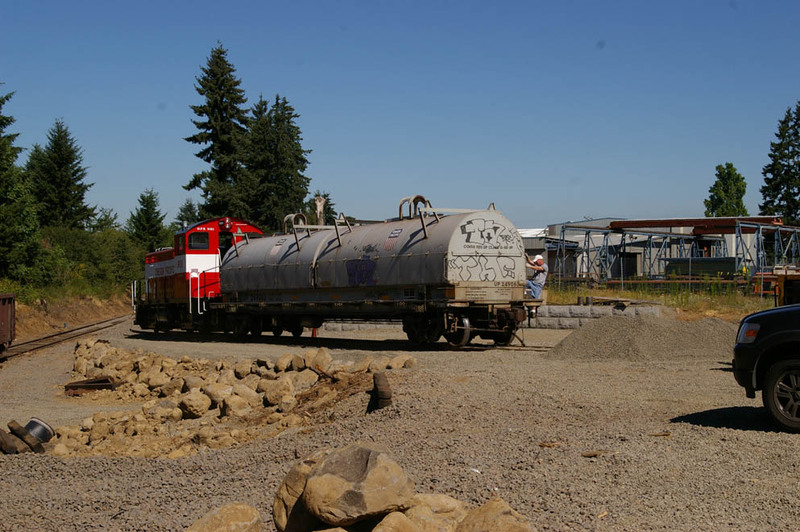 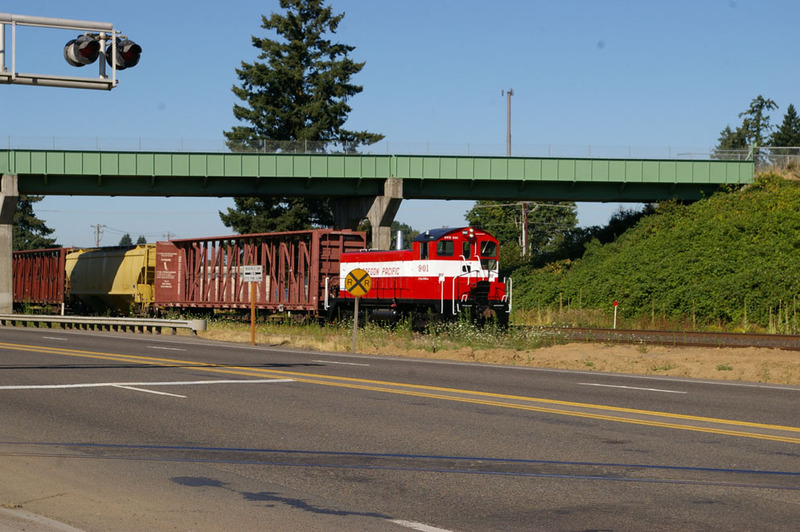 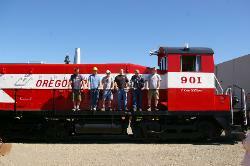 The 901 was moved over the weekend of August 9, 2008.
on the UP/OPR interchange track at Canby. 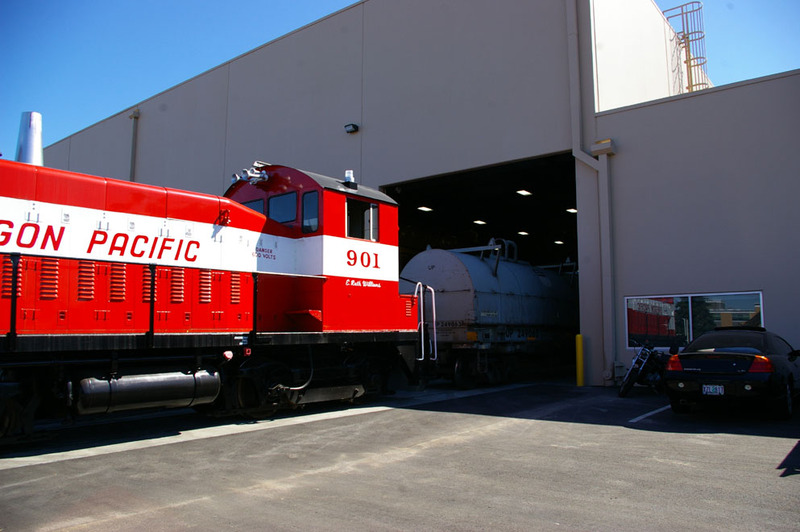 augmented by the 801 and the 802. 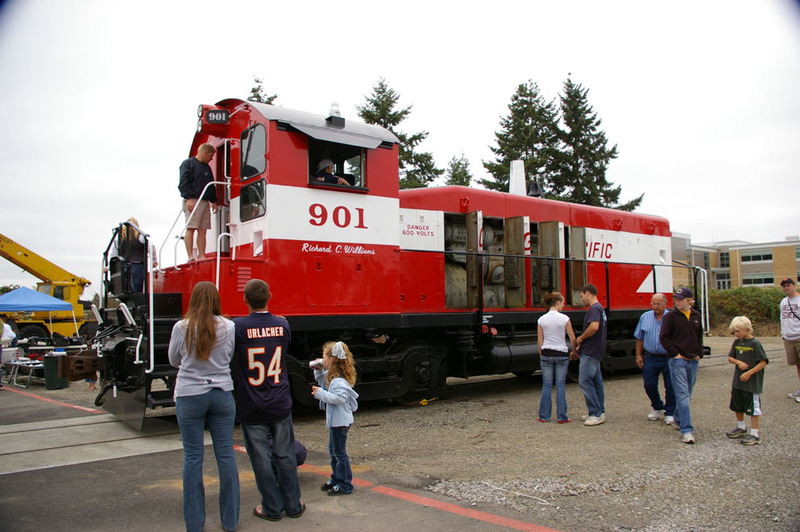 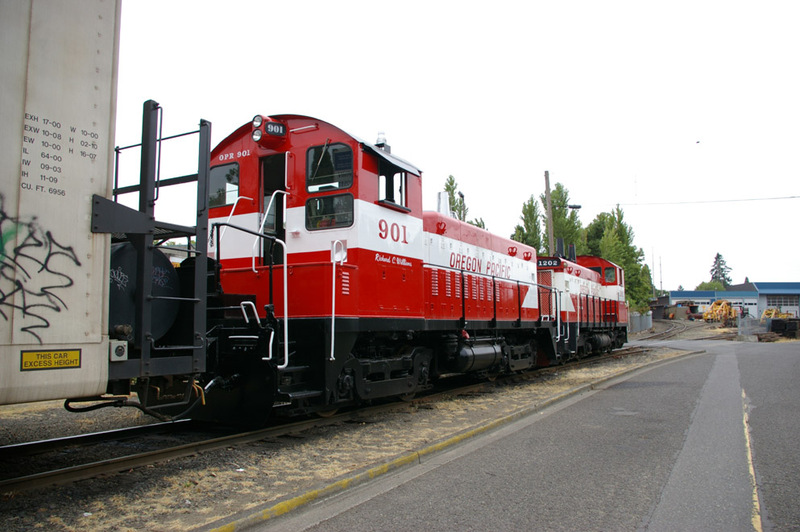 The 802 will eventually come back to Milwaulkie for some work and a possible repaint. 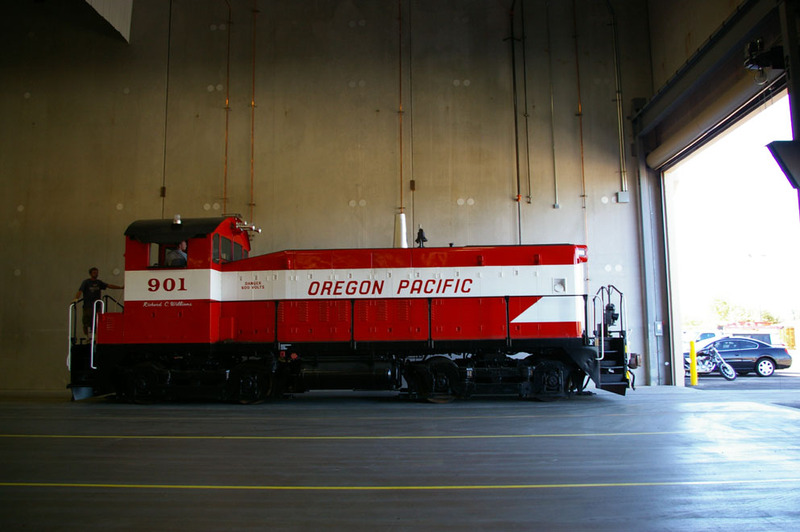 The 901 then backs the coil car into the American Steel building. 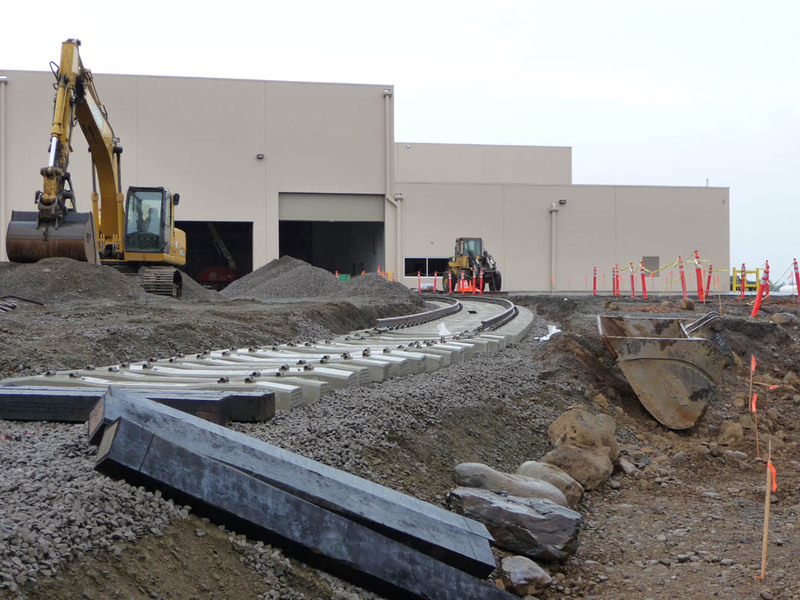 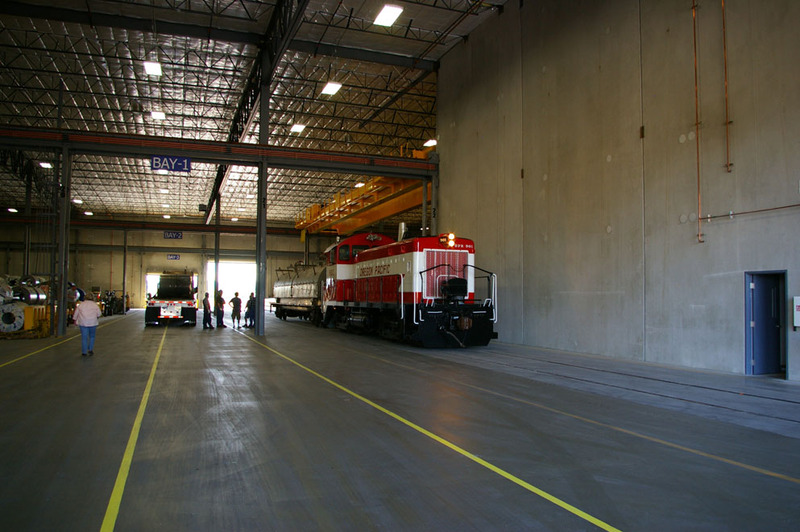 The large loading area will accommodate multiple cars. 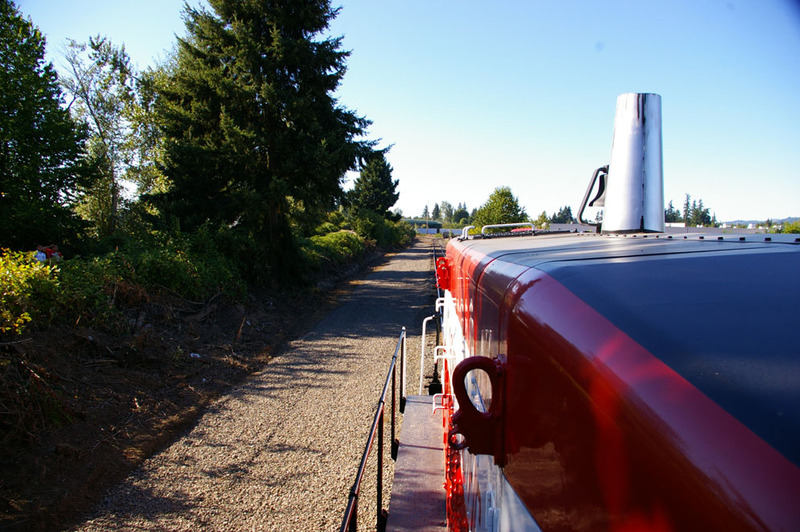 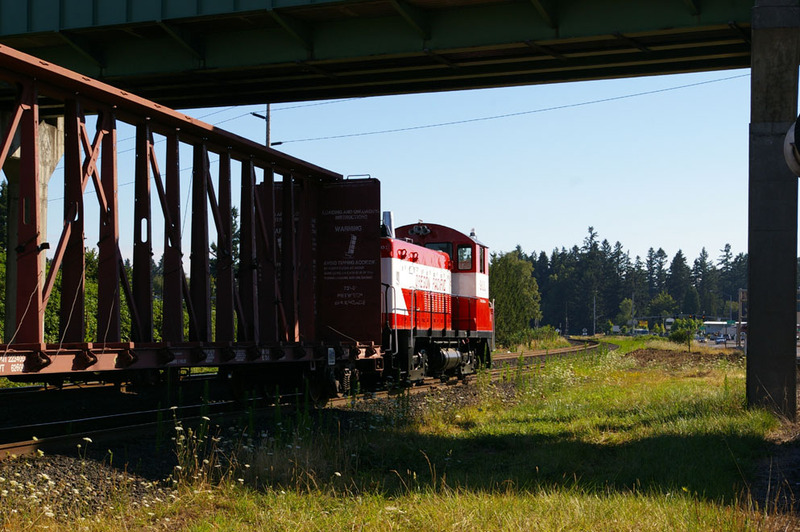 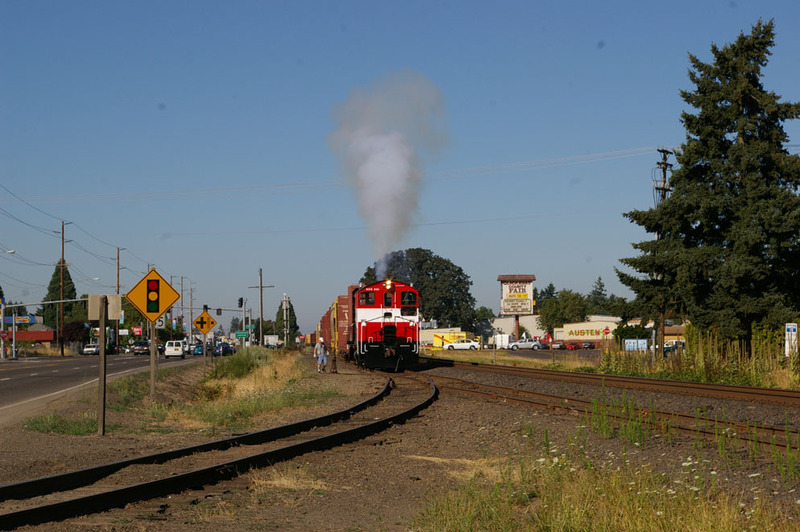 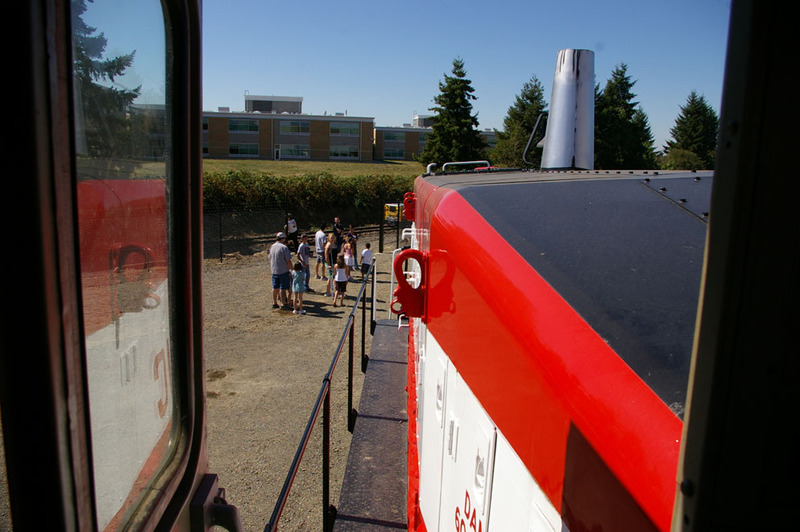 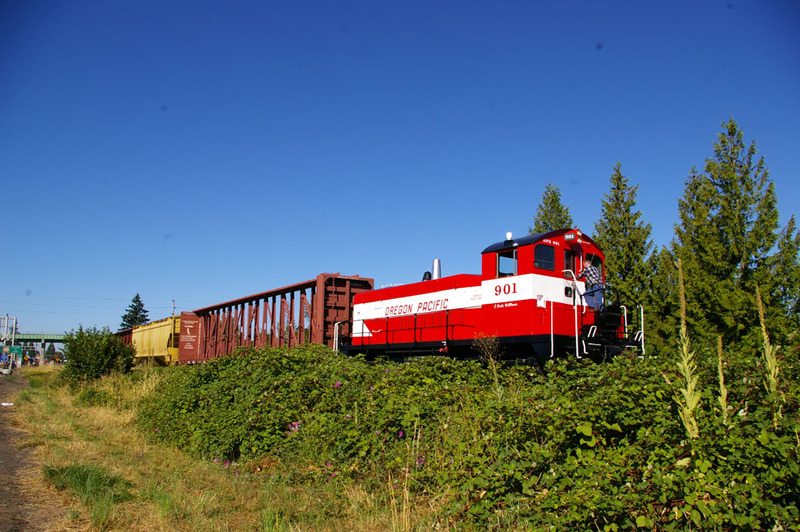 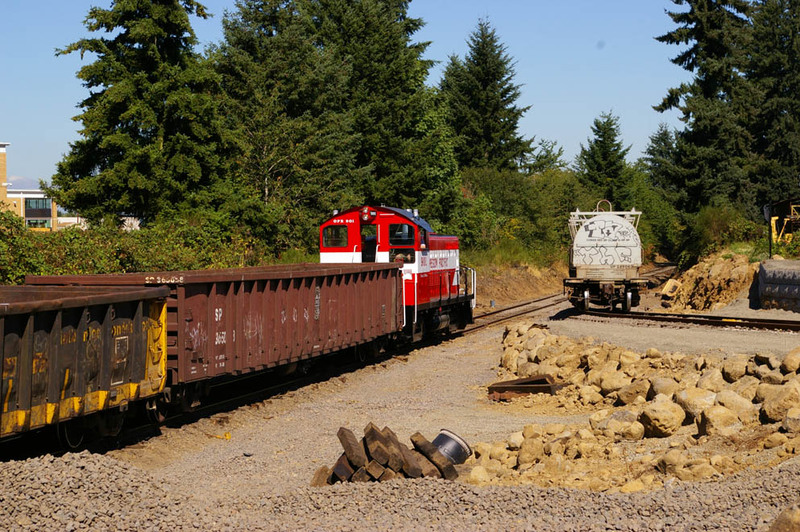 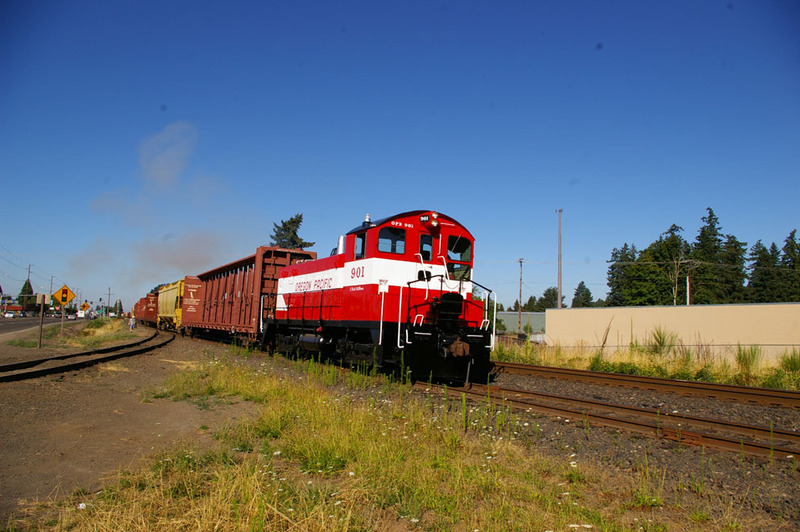 The 901 then cuts away and heads out the huge door back towards the Molalla Branch. 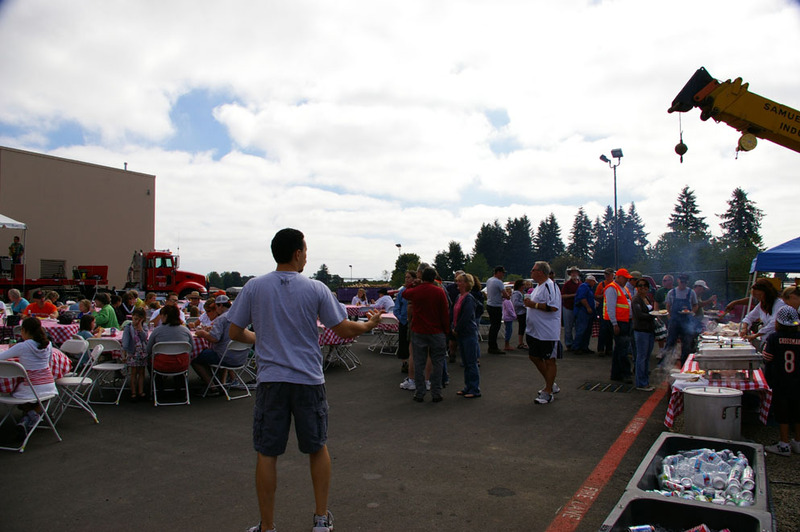 and the customer appreciation barbecue given to American Steel and its employees by the OPR. 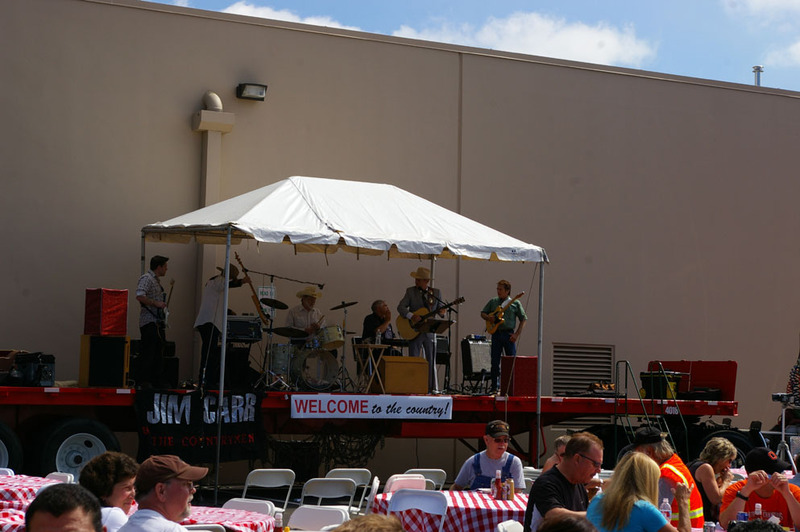 A view of the barbecue with the Jim Carr & the Countrymen band on hand to provide music for the crowd. 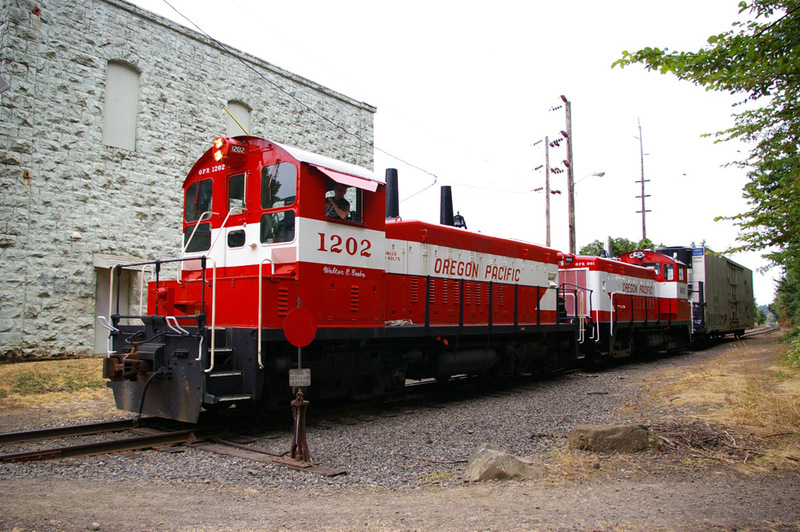 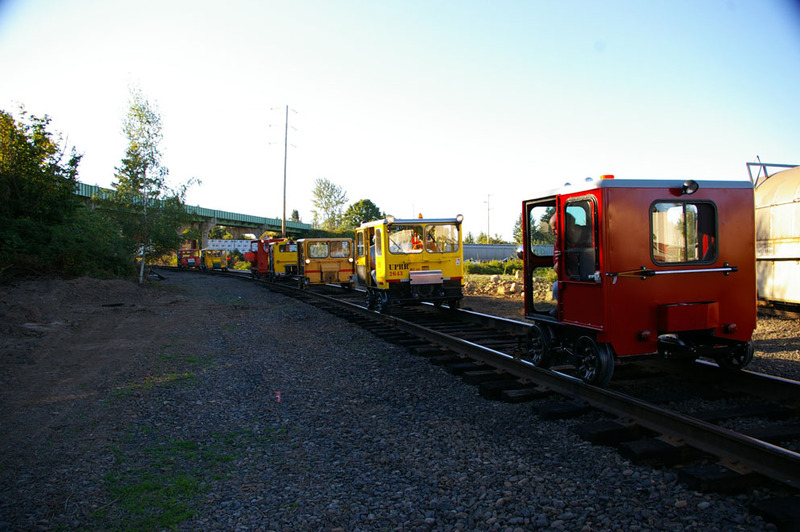 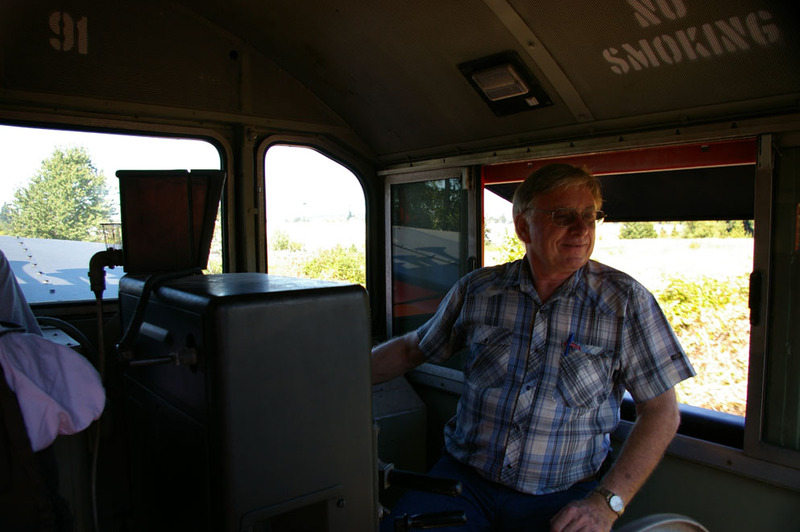 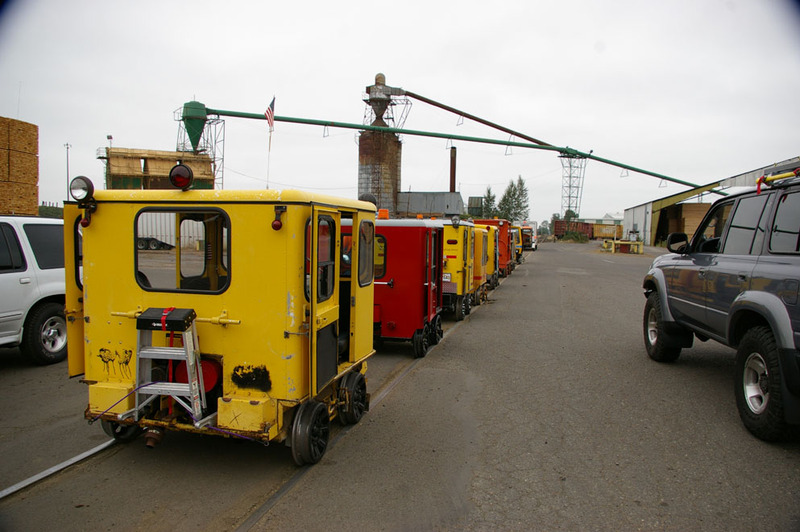 headed to American Steel where they picked up passengers and gave rides throughout the afternoon on the OPR Molalla Branch. 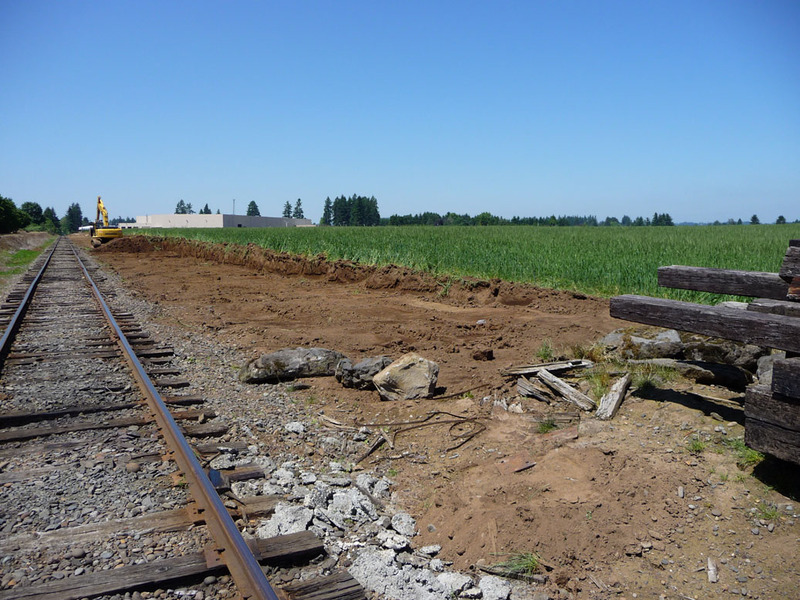 Steel and the Canby wye. 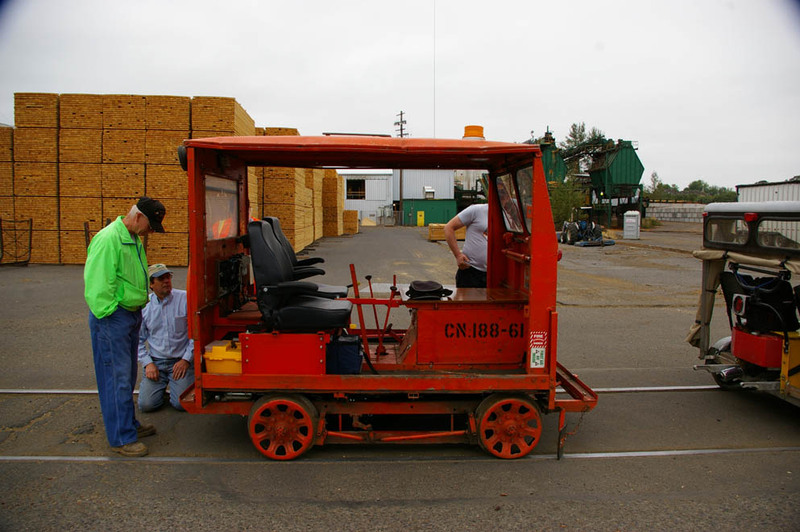 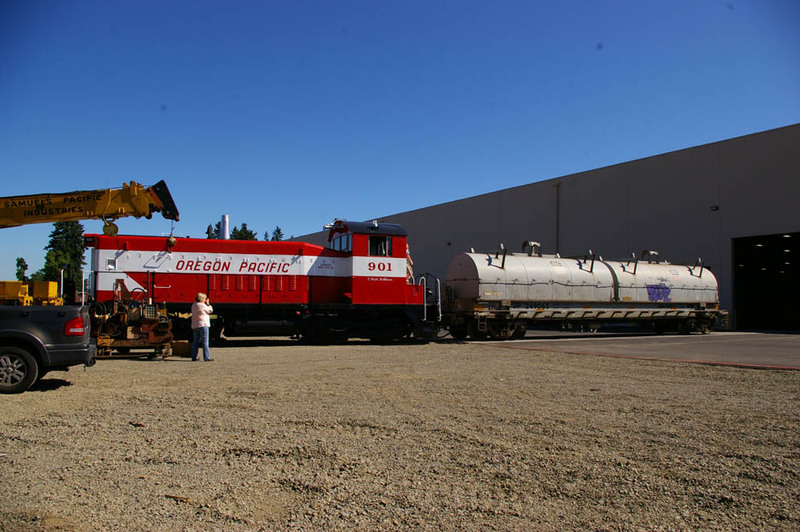 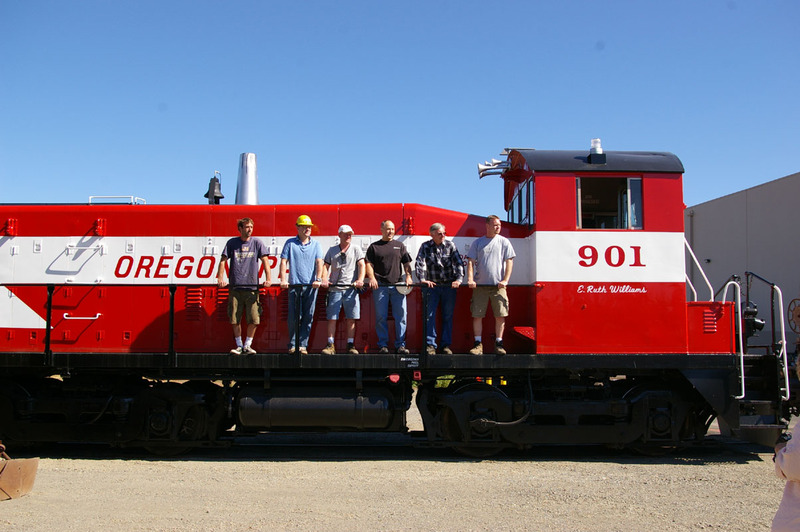 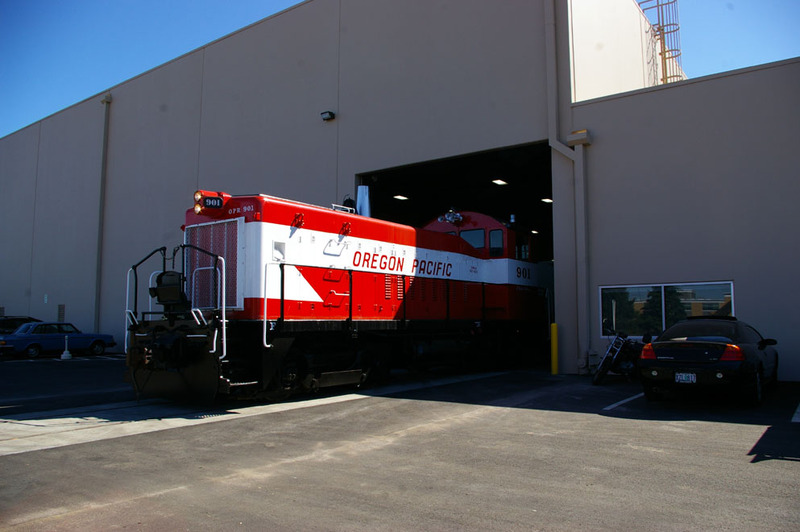 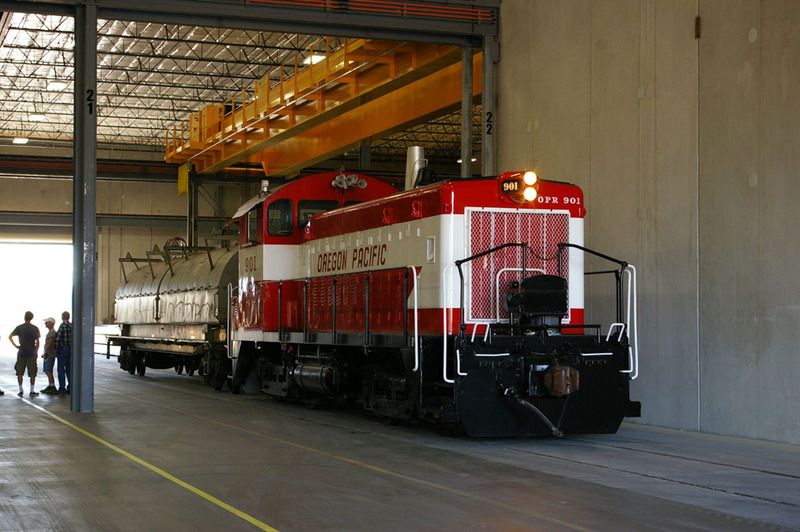 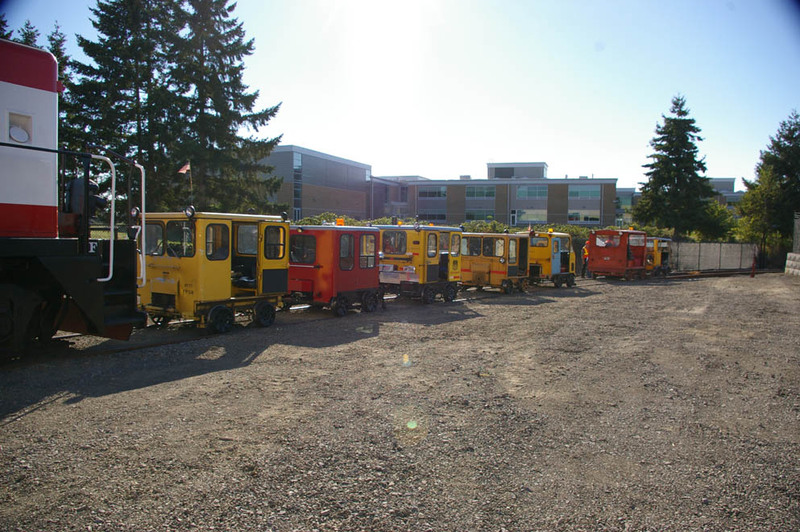 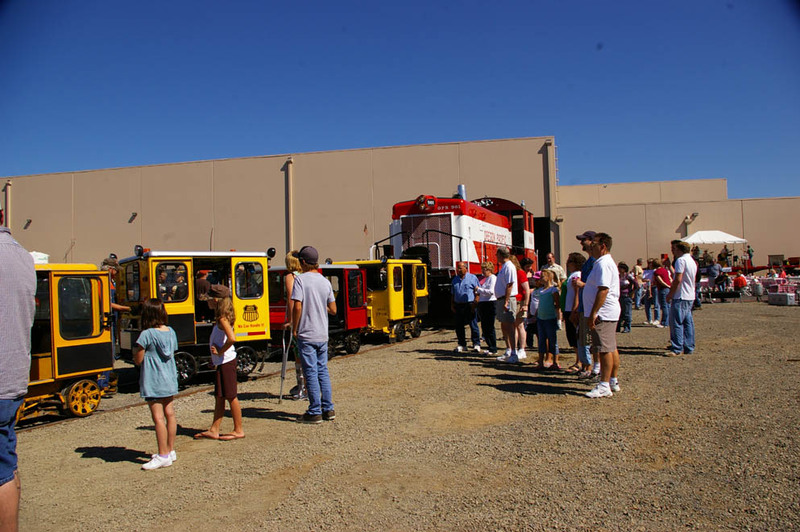 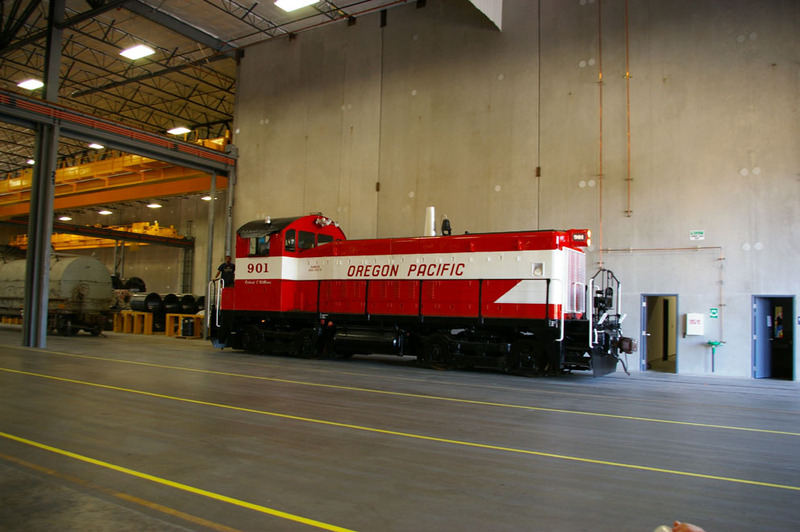 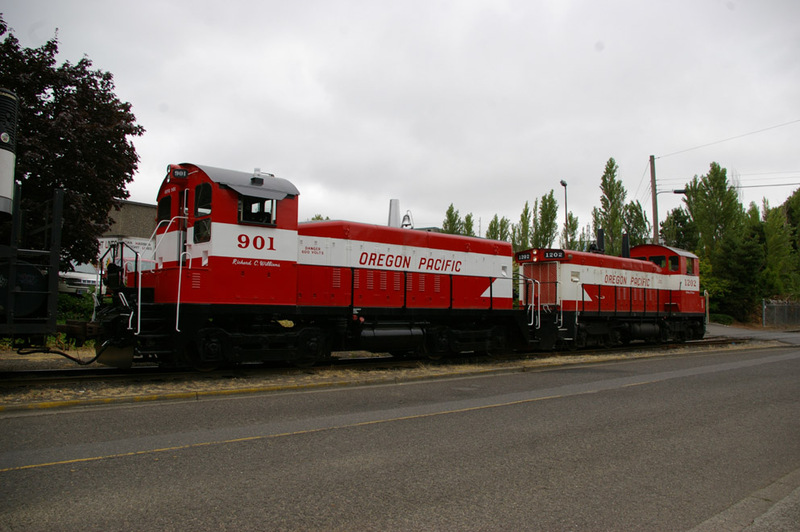 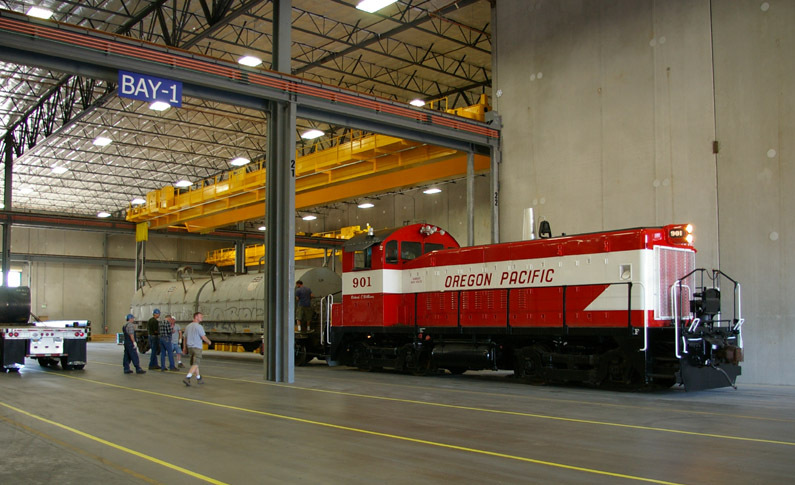 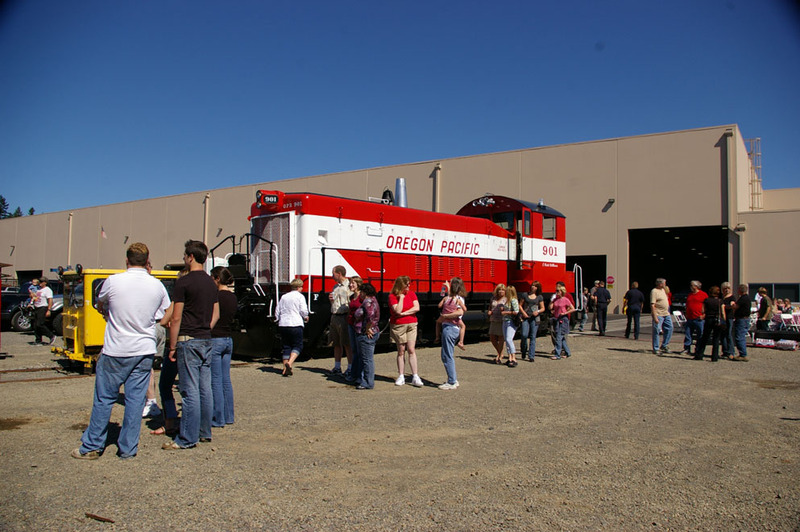 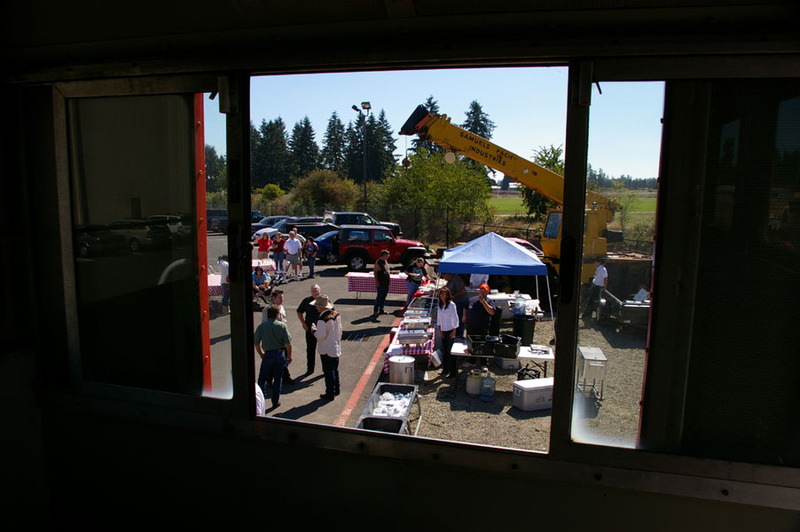 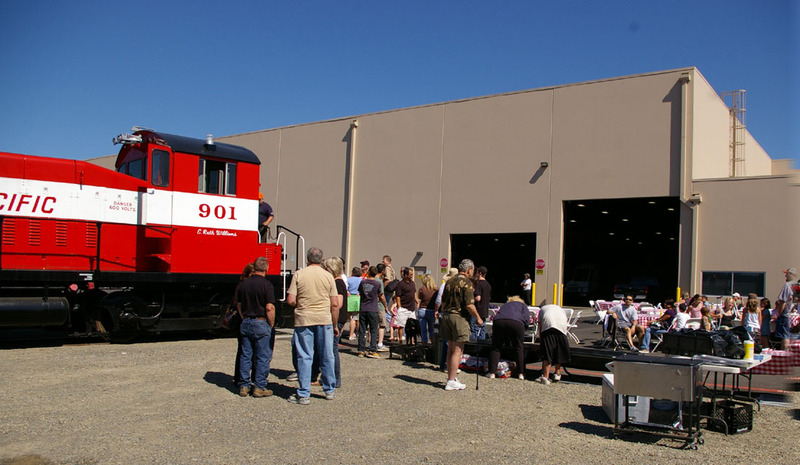 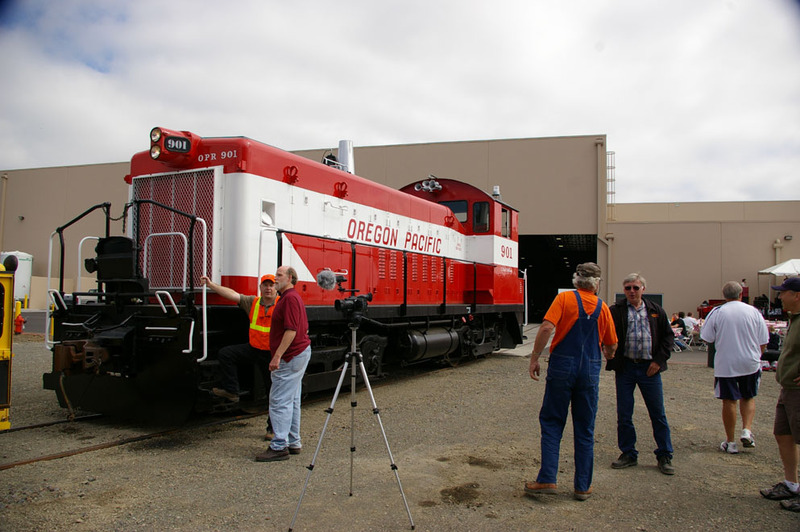 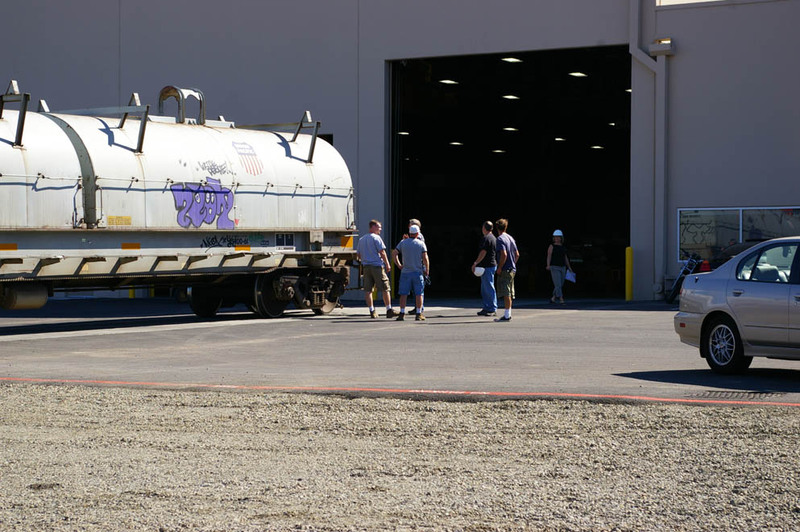 On September 6, 2008, the OPR hosted a customer appreciation event at the American Steel facility near Canby, Oregon. 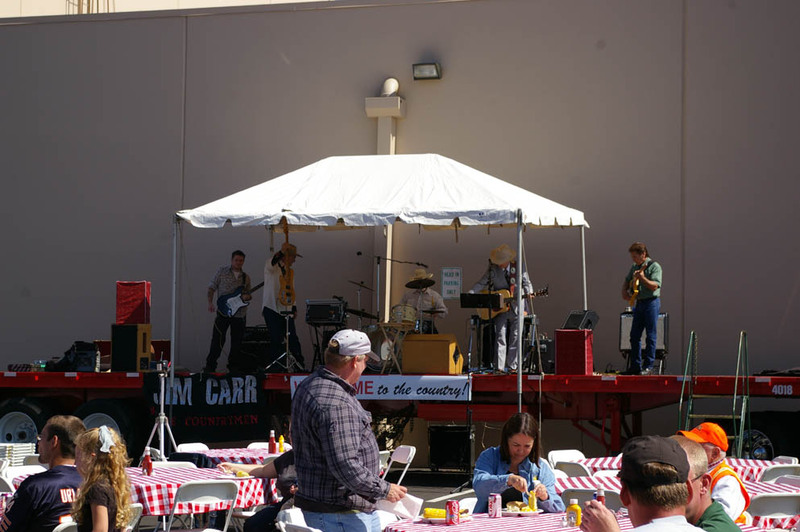 live country band was provided by the OPR. 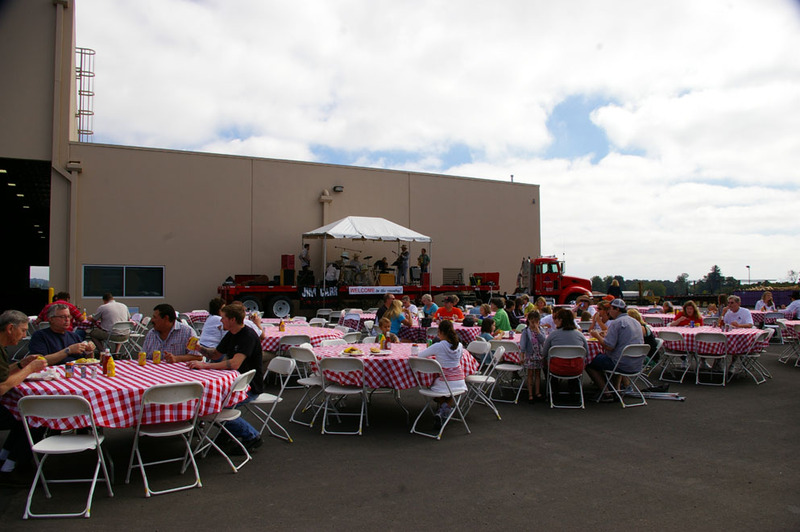 Everyone appeared to have a great time! 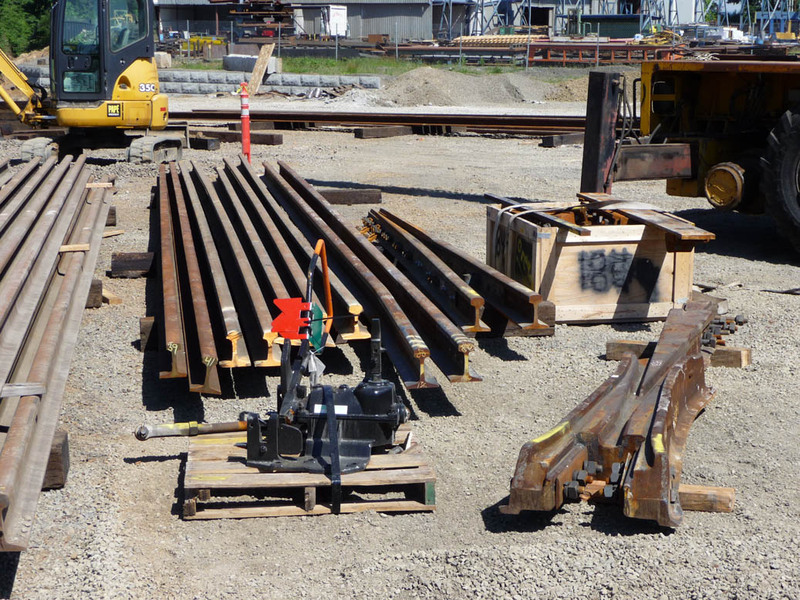 Check out our new video dedicated to American Steel.